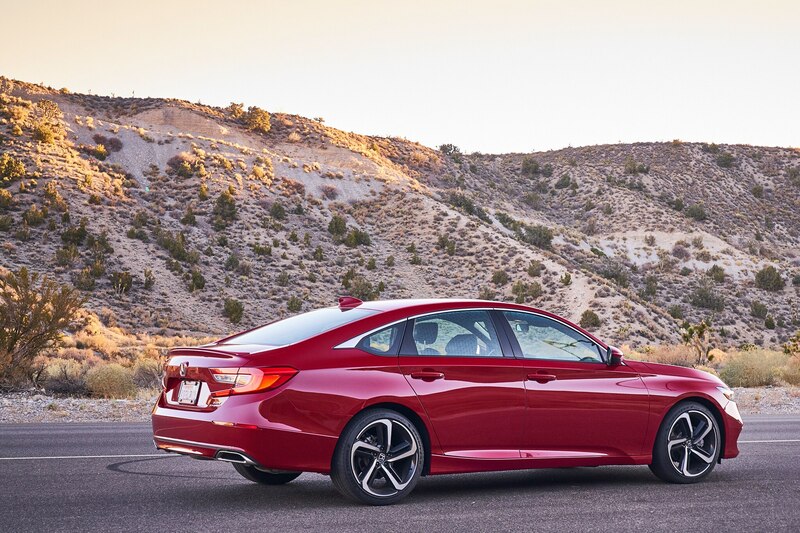 What, you might ask, is a $31,200 (as tested) family sedan doing among these $100,000 to $300,000 stunners? 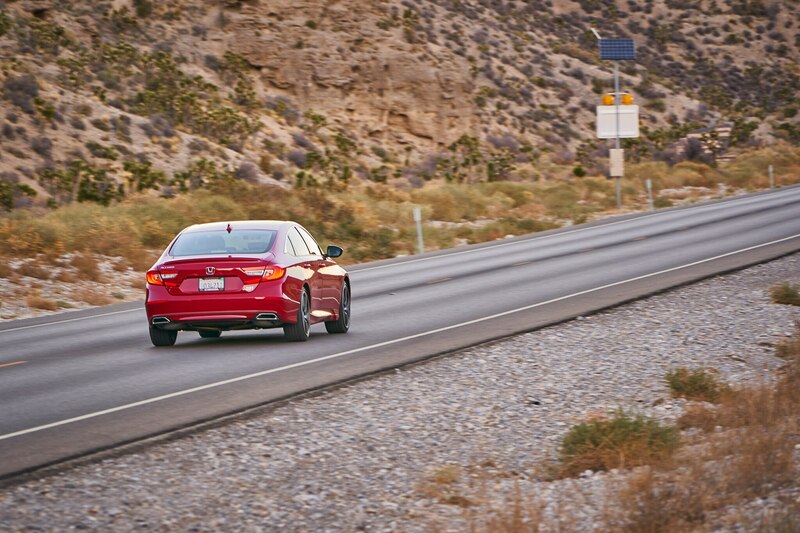 Kicking their butts, mostly. 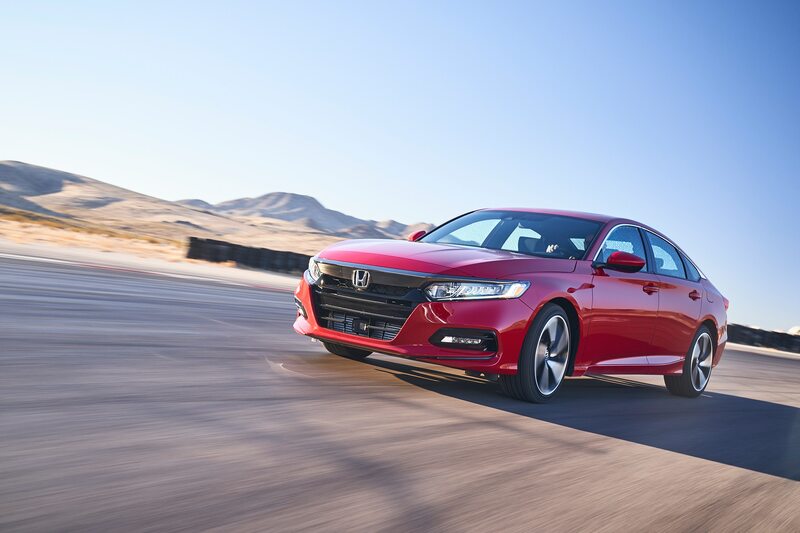 The Honda Accord is a legend among the car-buying public and automotive writers alike, and for good reason. 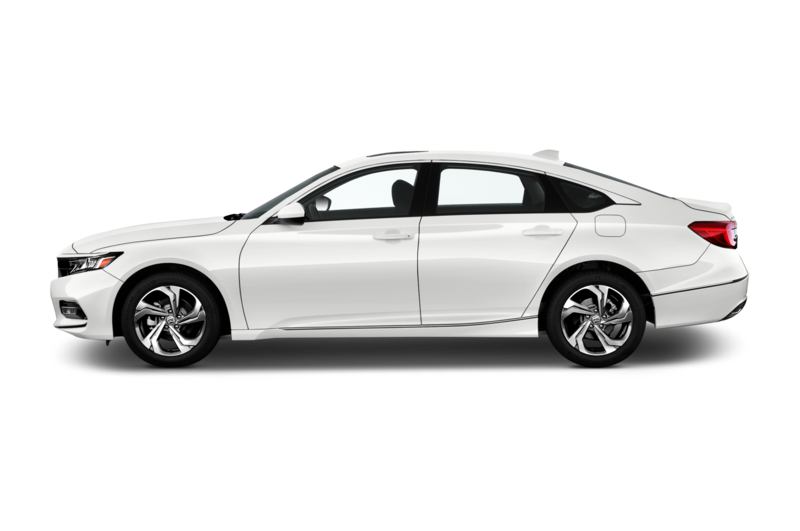 It’s consistently one of the best vehicles on the road, often not because it excels at any one thing but because it’s so good at so many things for relatively little money. 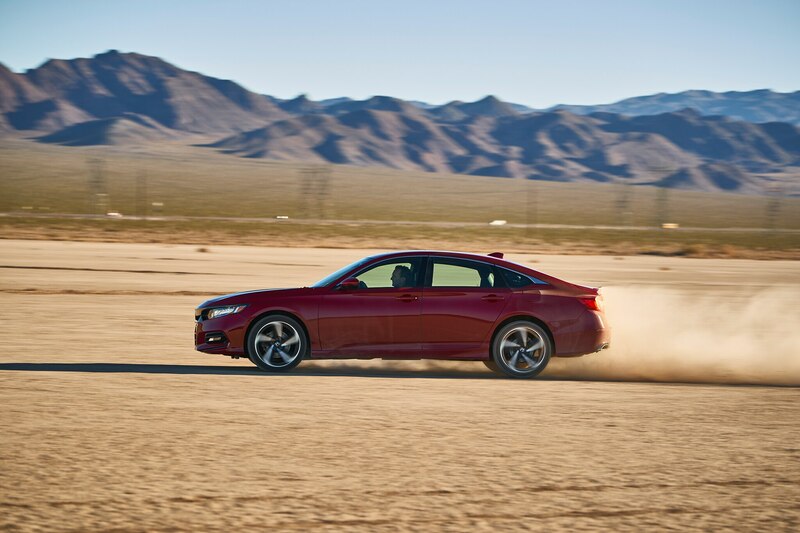 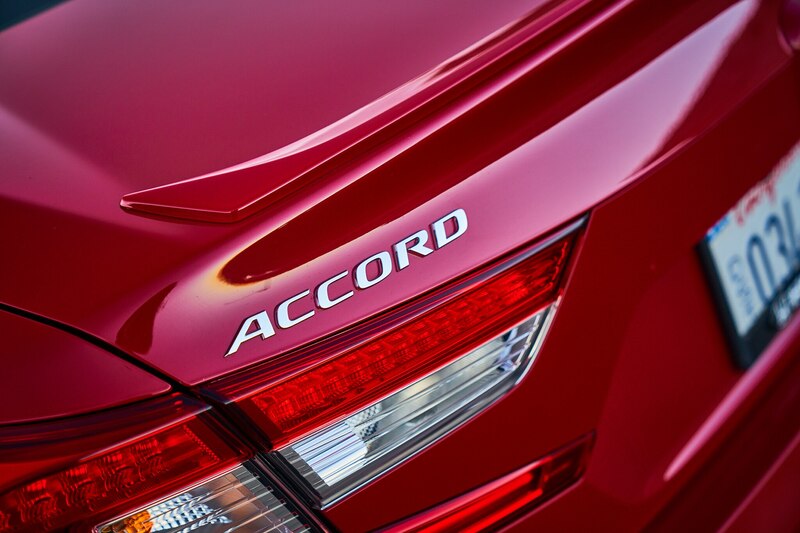 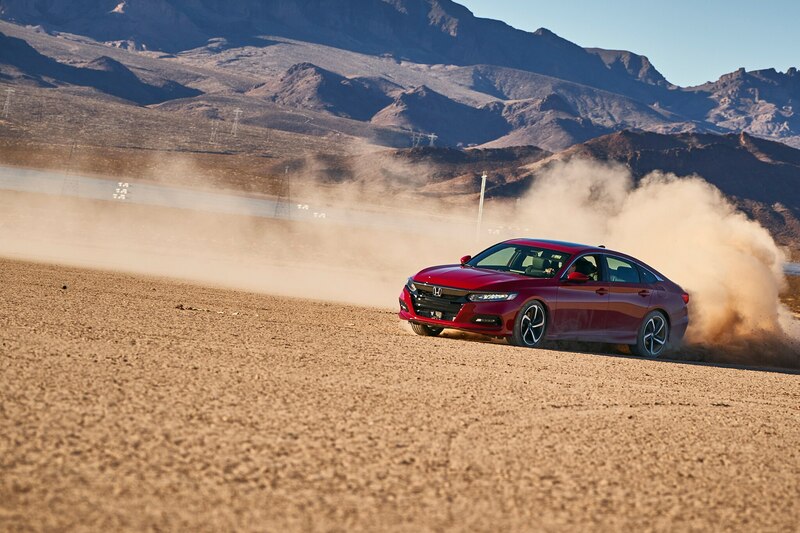 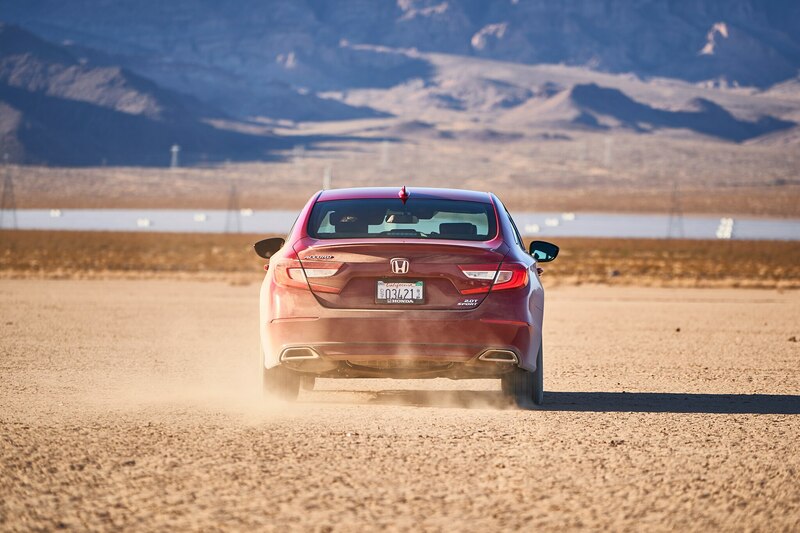 That’s still true for the all-new 10th-generation Accord. 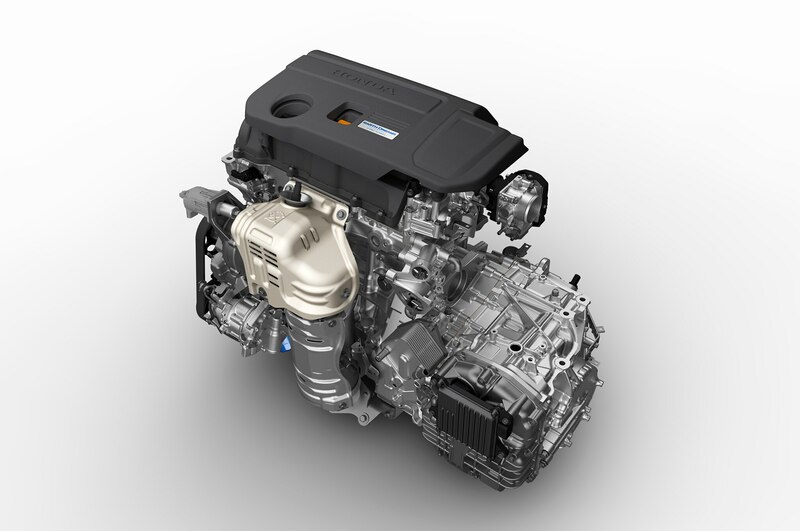 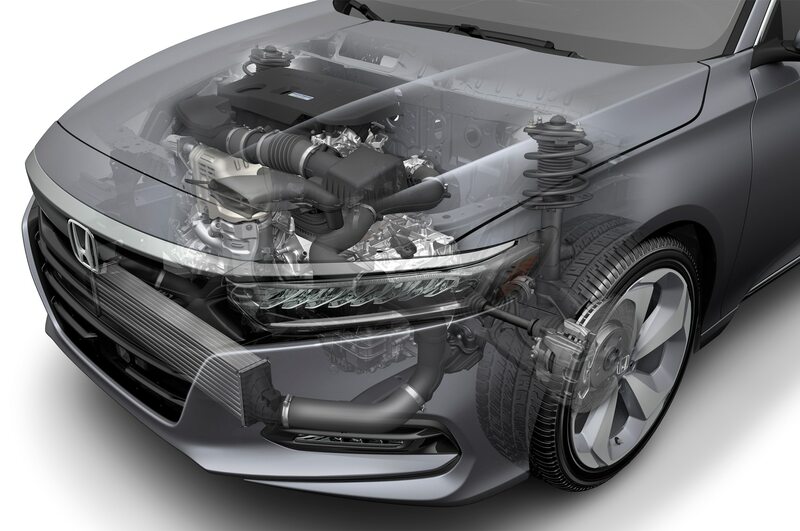 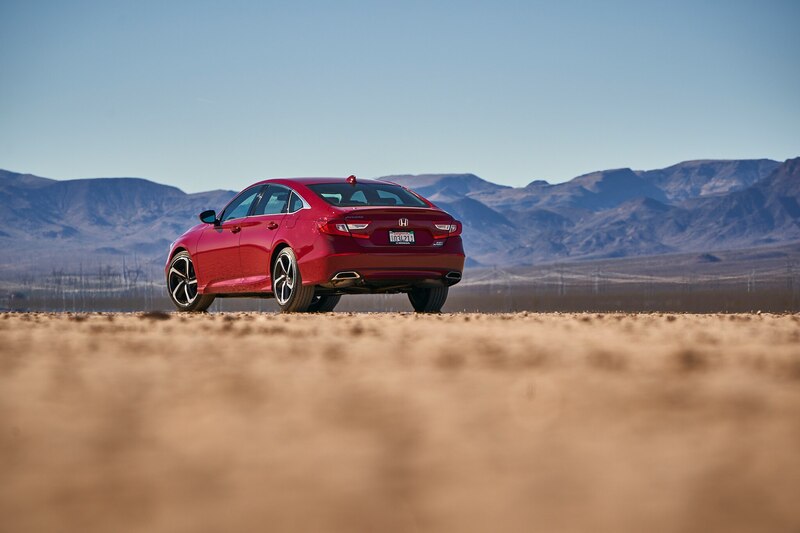 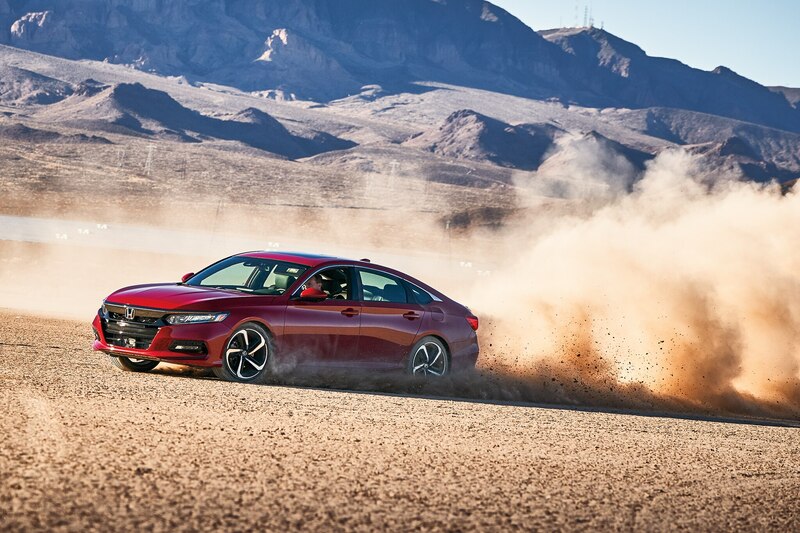 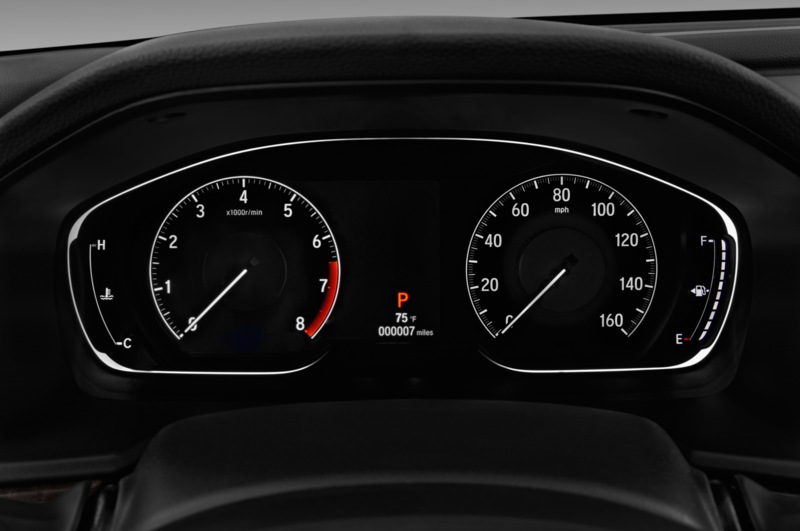 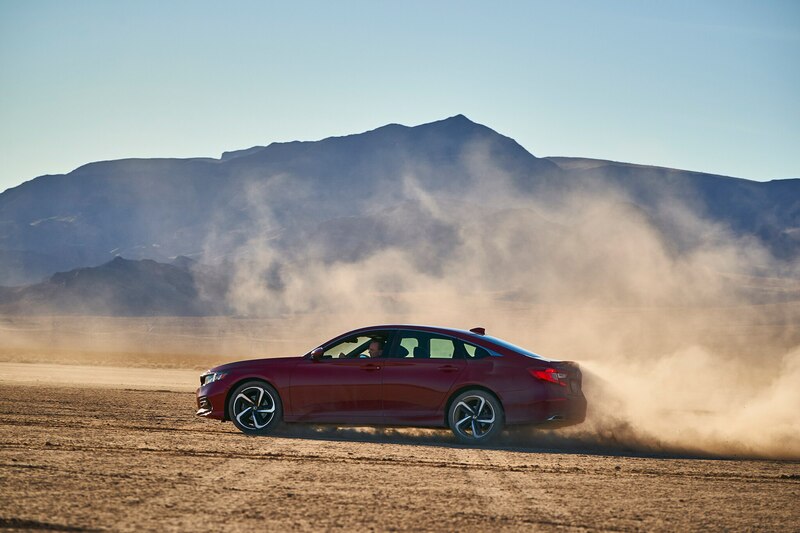 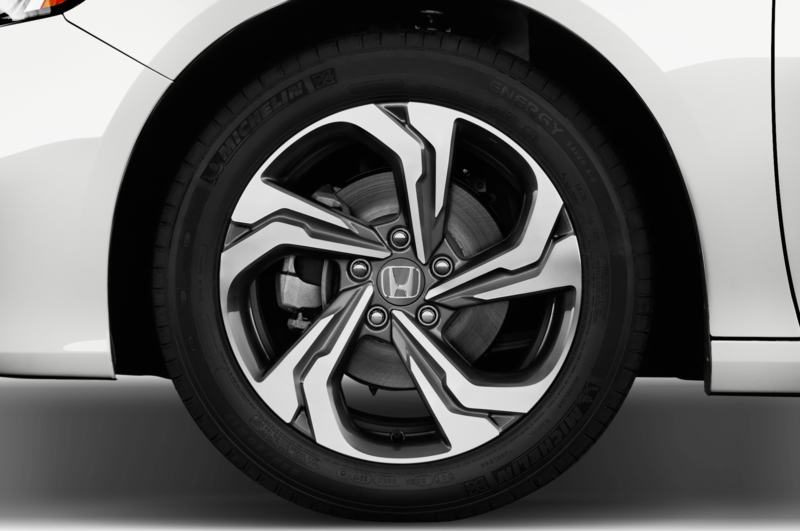 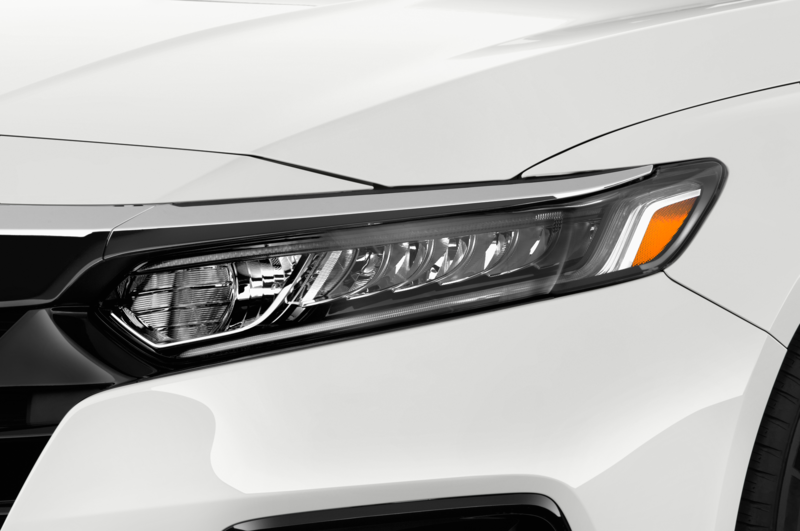 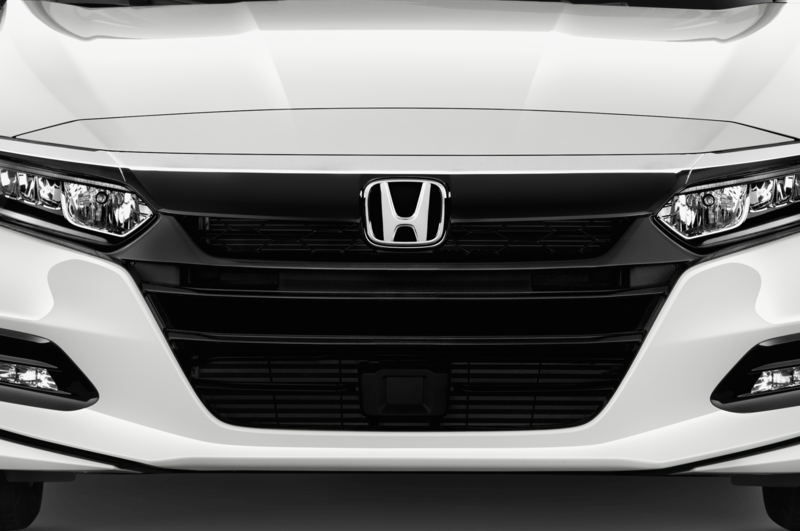 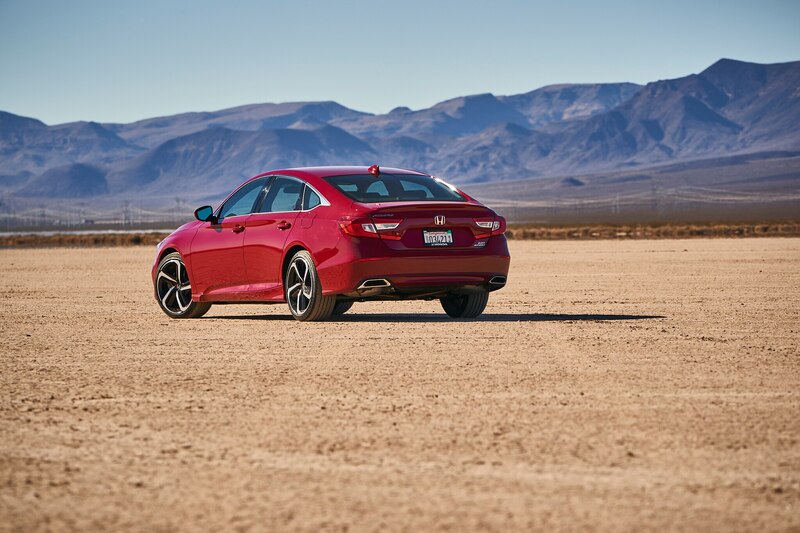 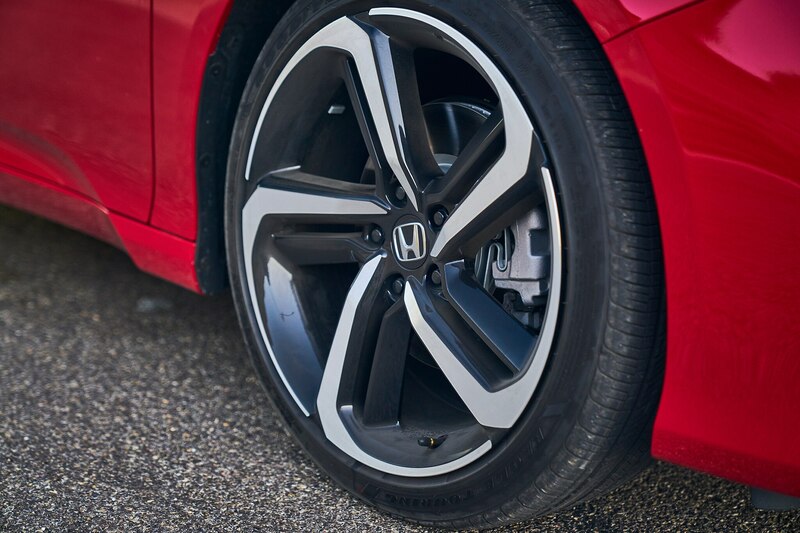 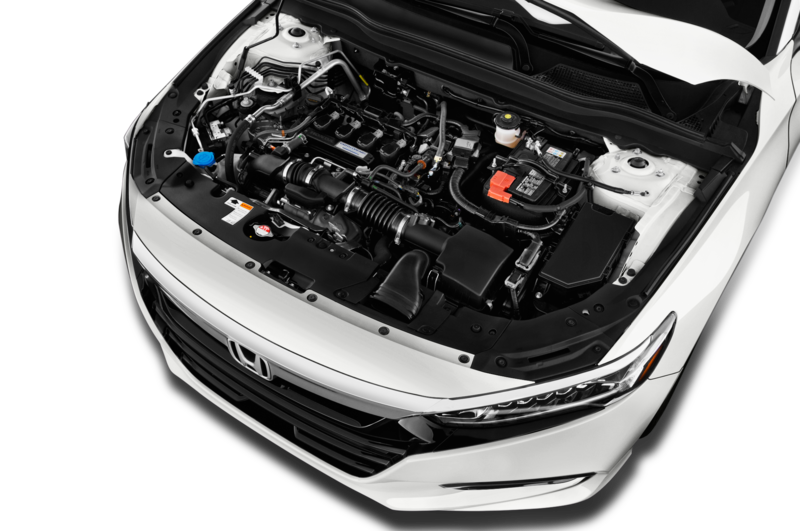 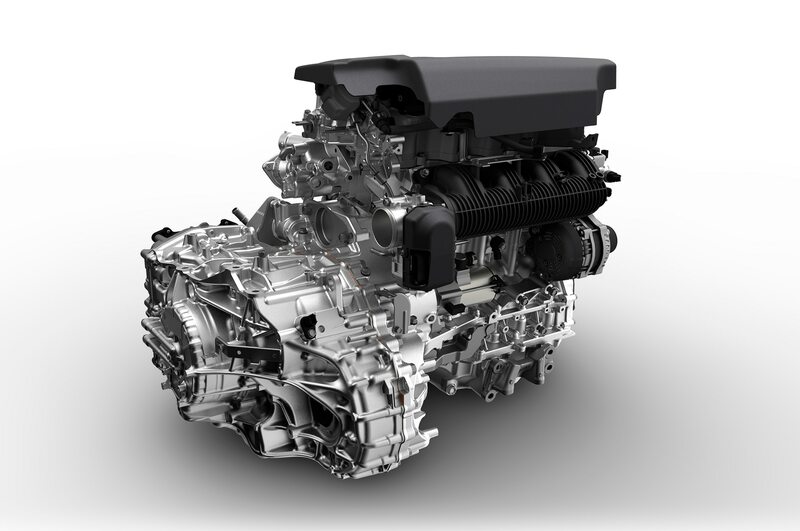 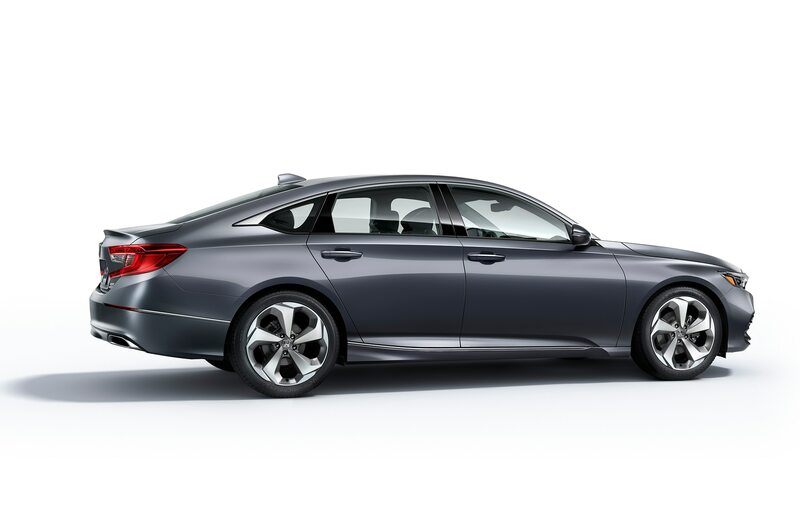 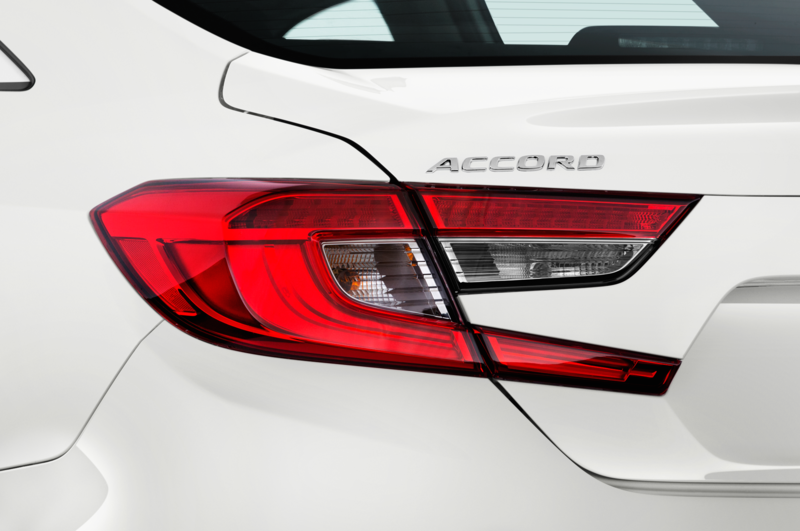 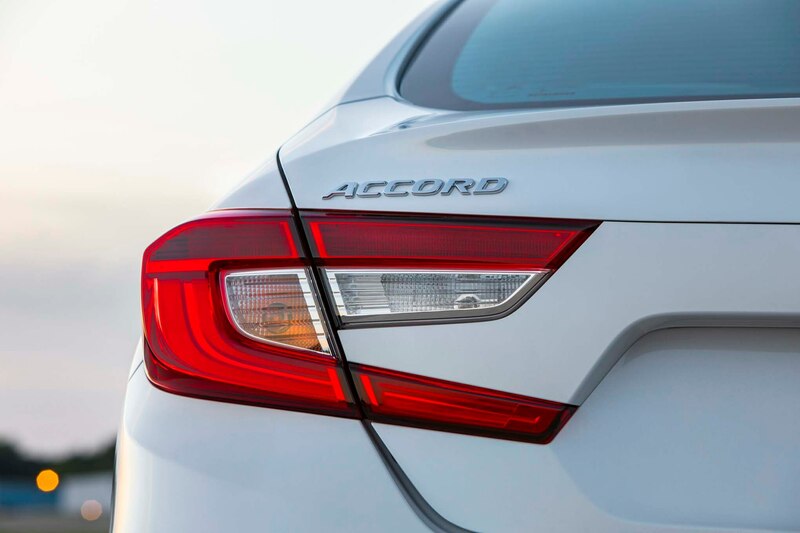 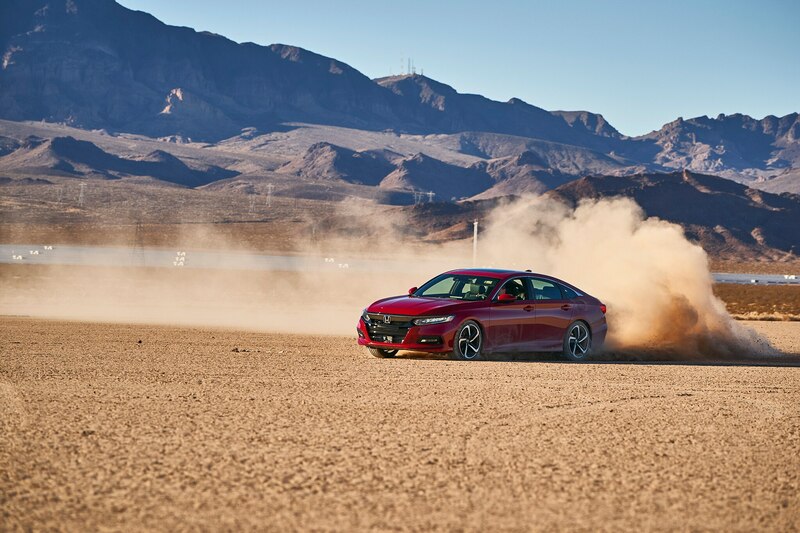 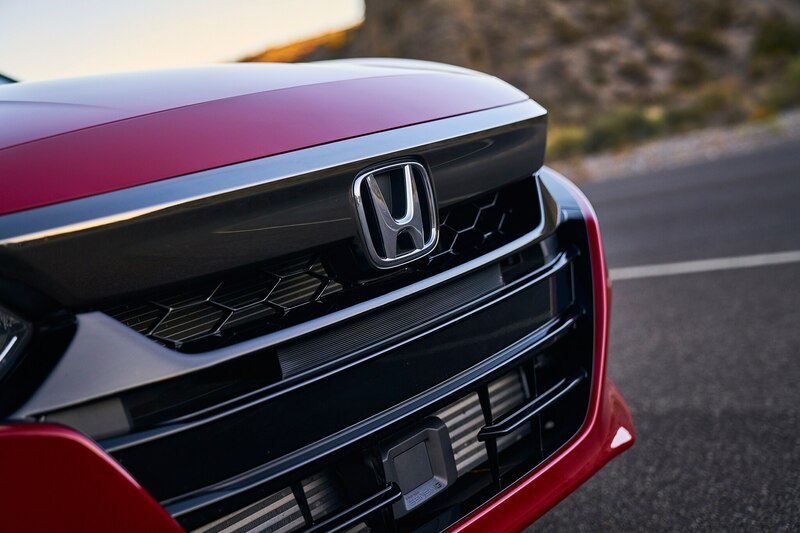 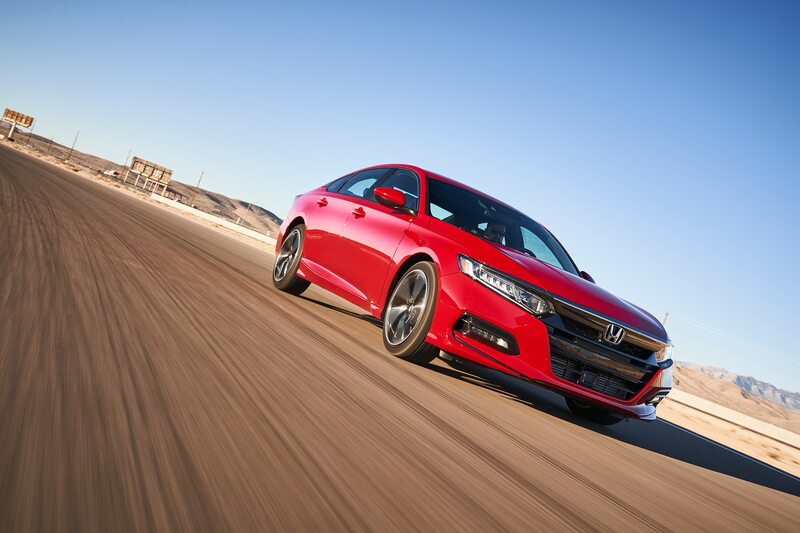 At the heart of the new Accord lies a 2.0-liter turbocharged inline-four that shares much of its internal structure and parts list with the rabidly robust Civic Type R. “Particularly satisfying is the powertrain, which operates with such an absence of vibration it feels as if the entirety of its insides are coated in Teflon,” contributor Basem Wasef said. 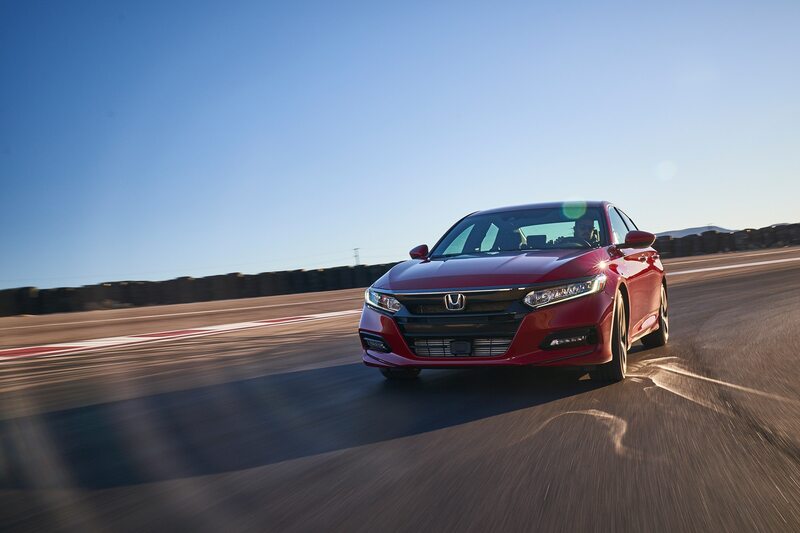 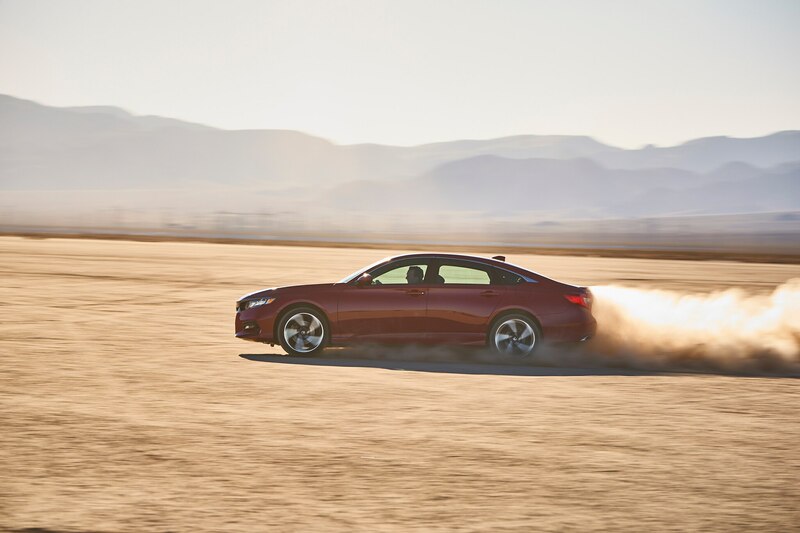 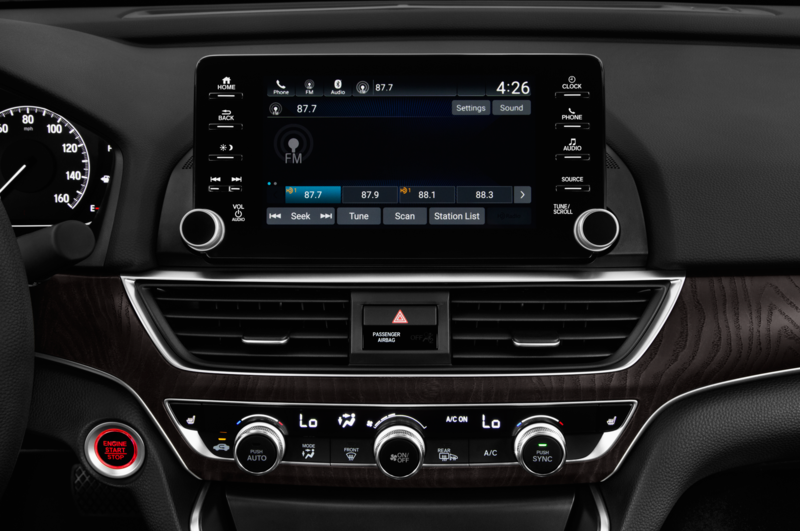 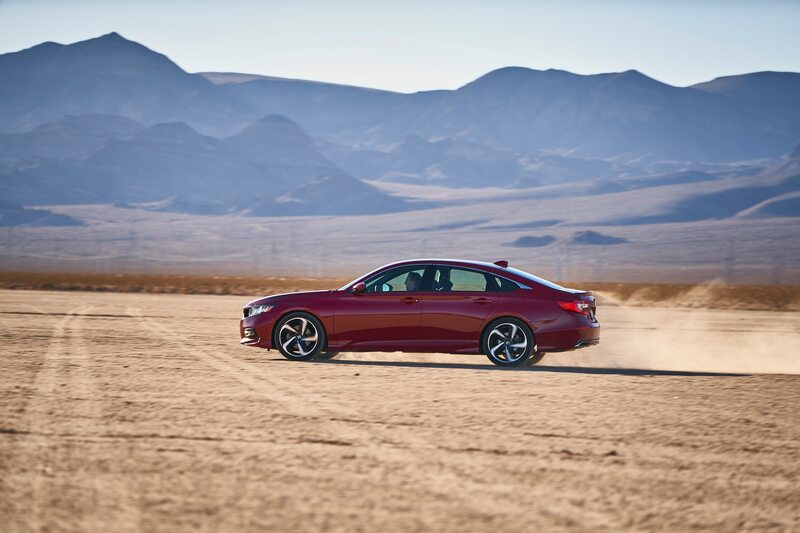 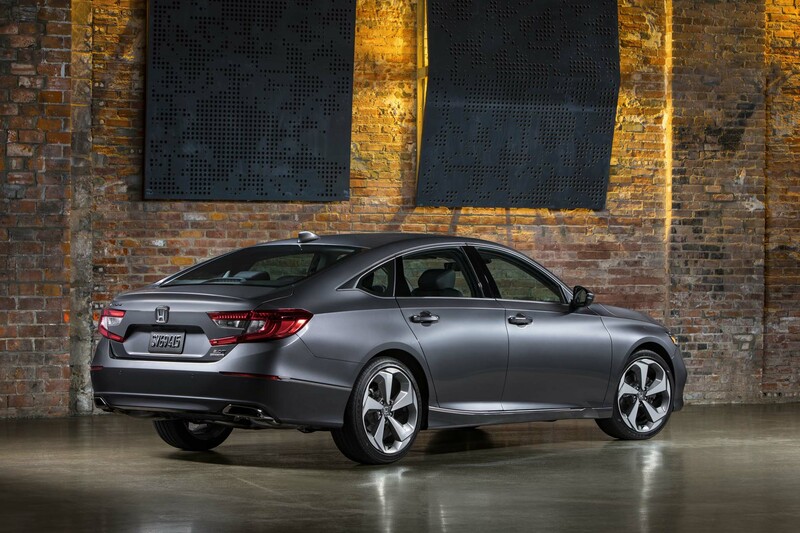 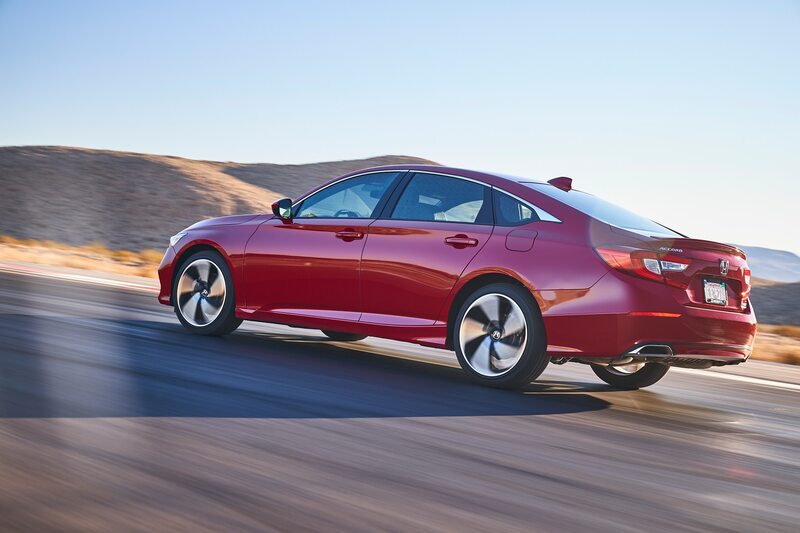 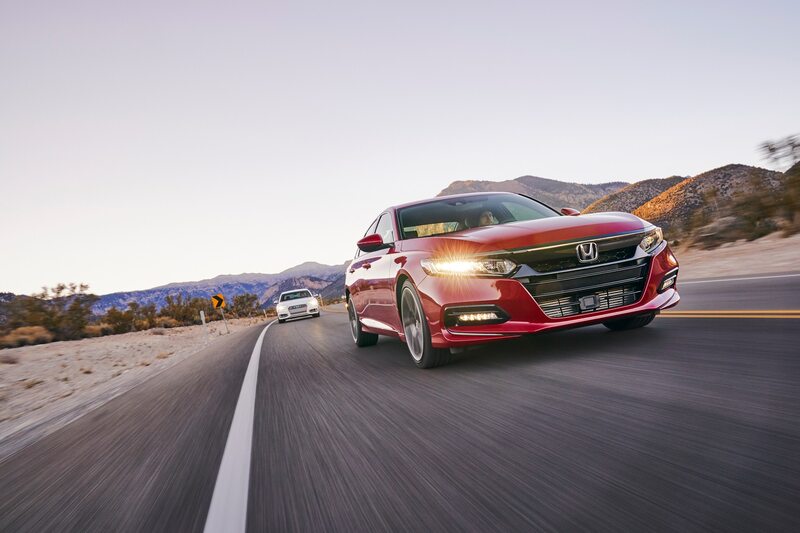 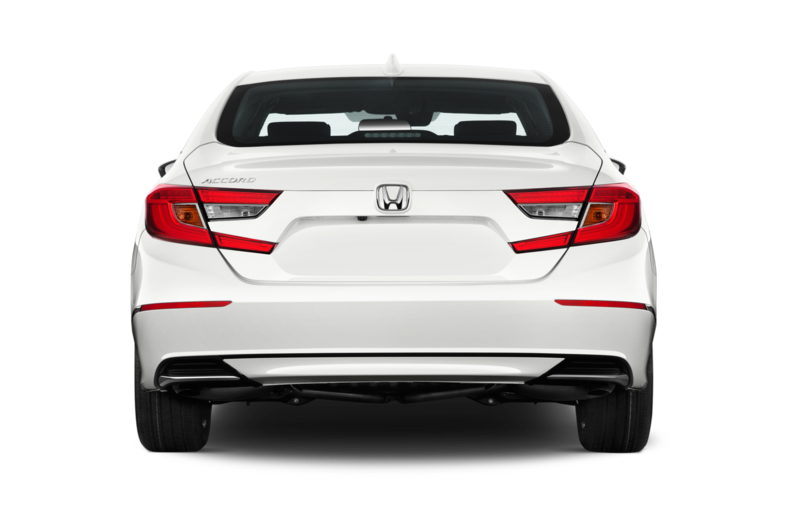 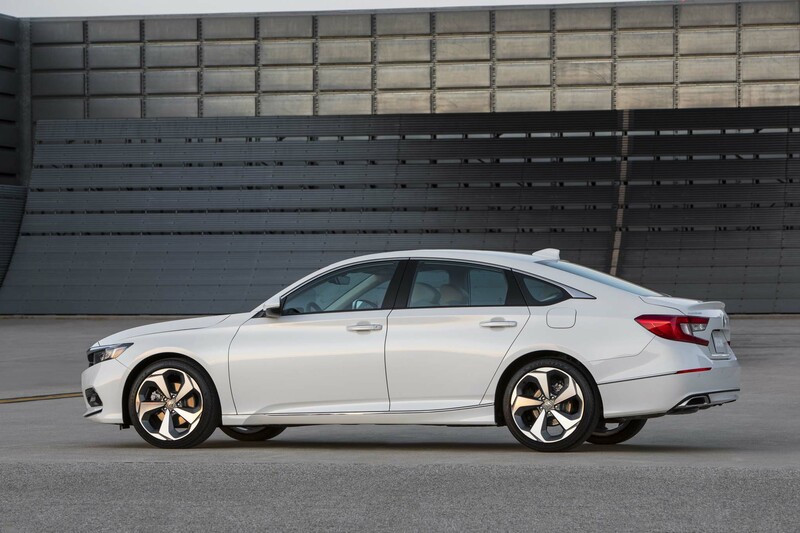 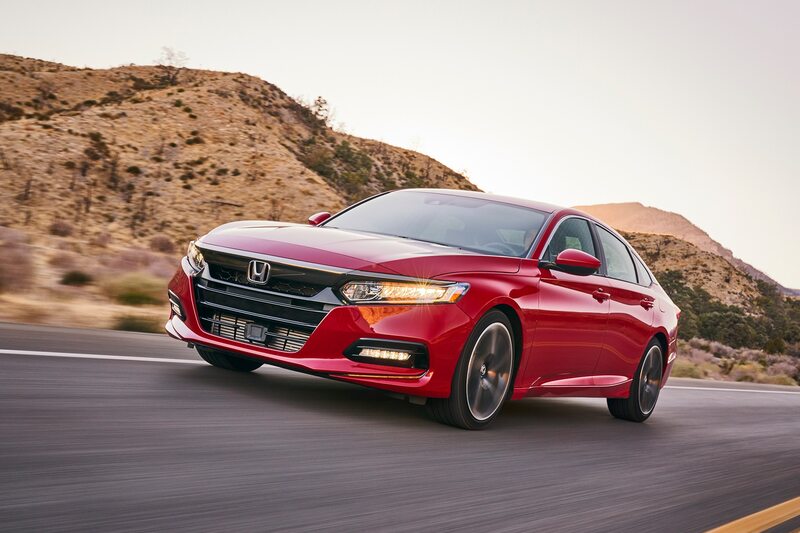 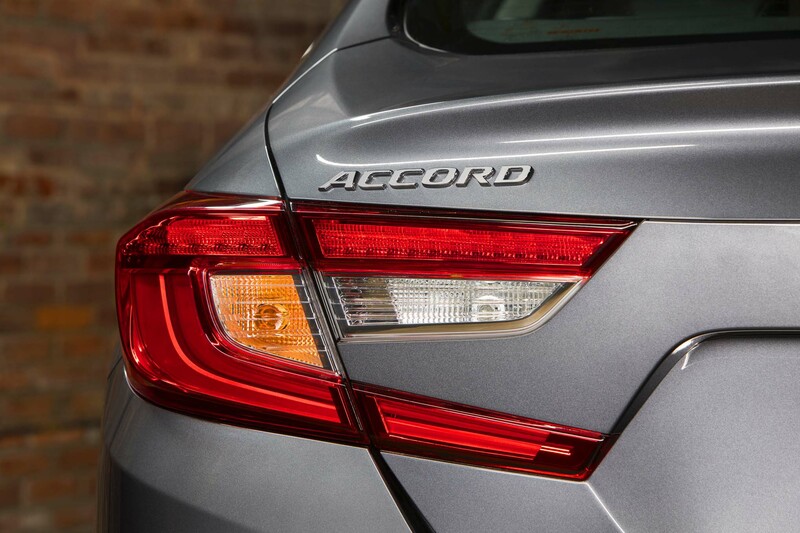 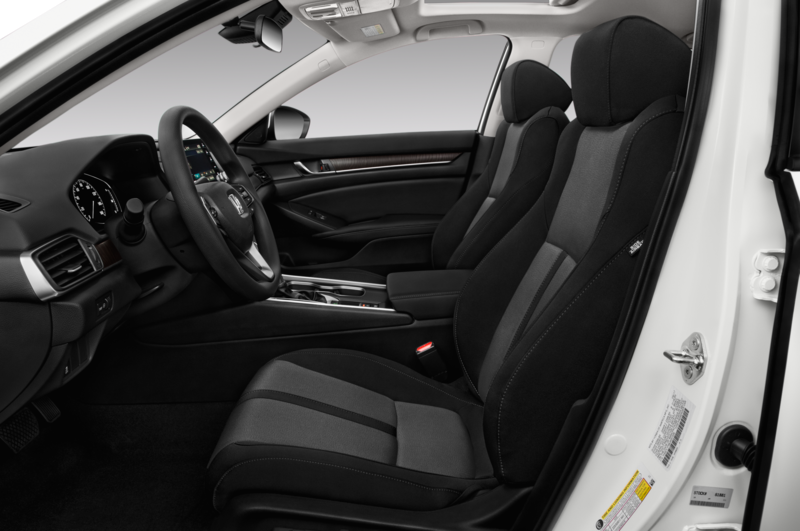 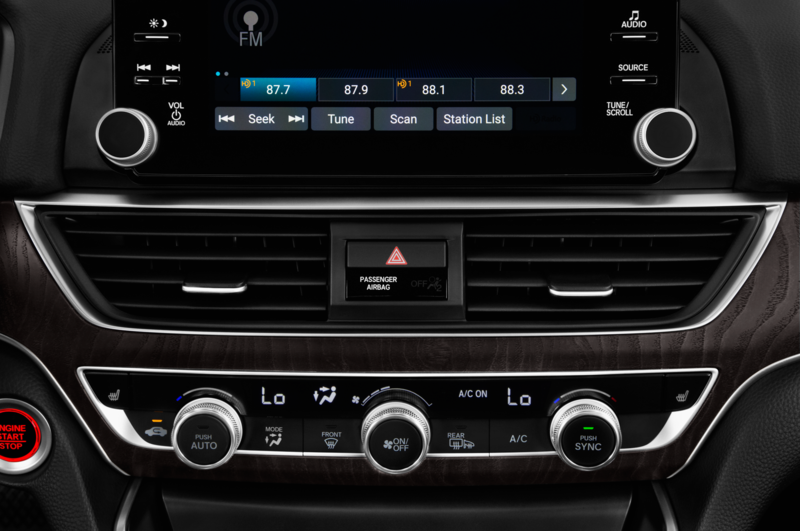 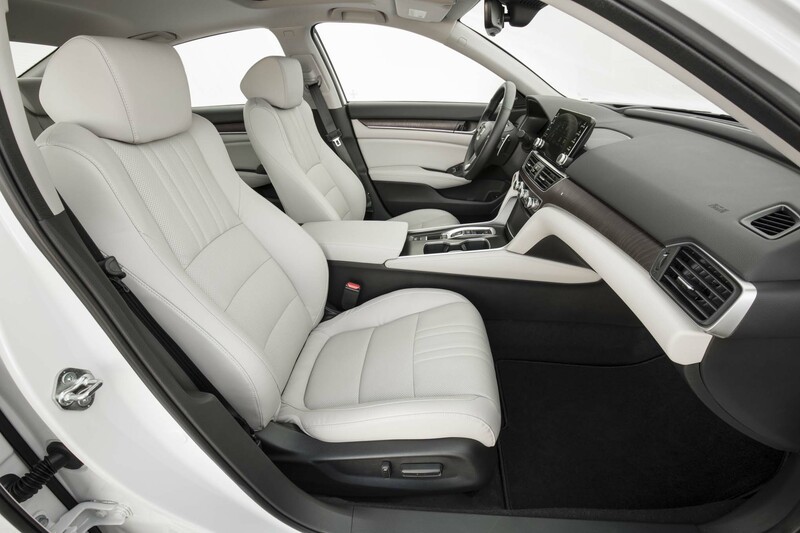 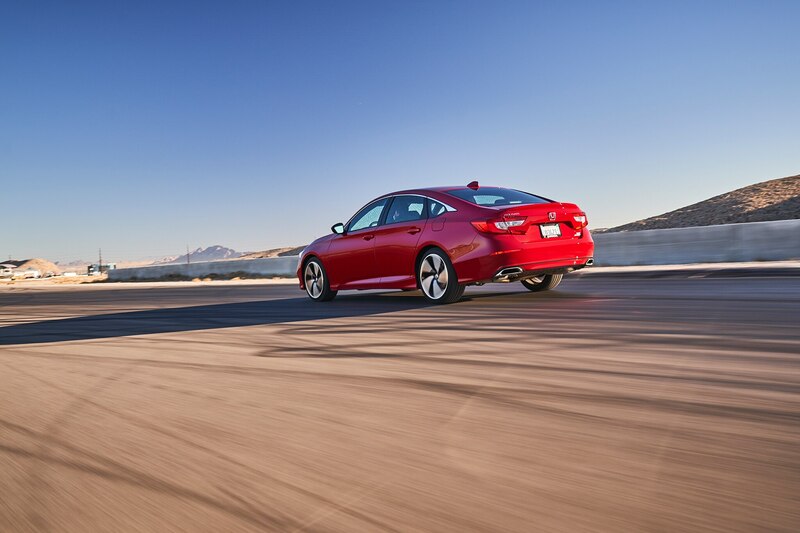 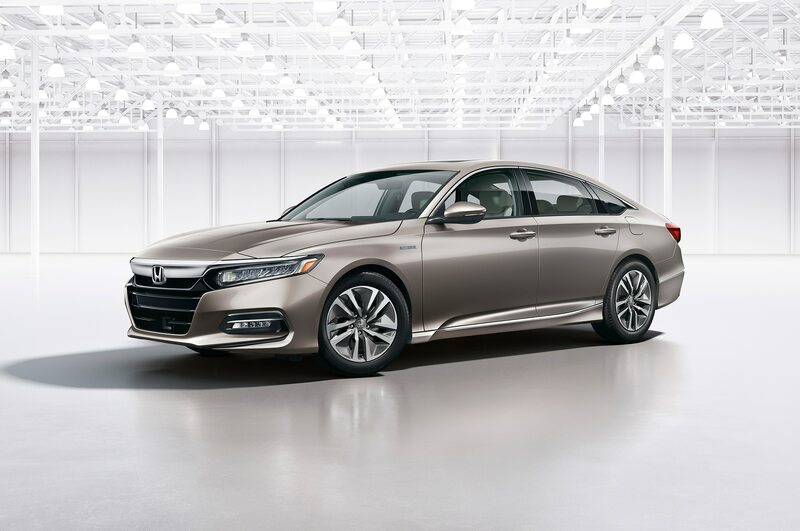 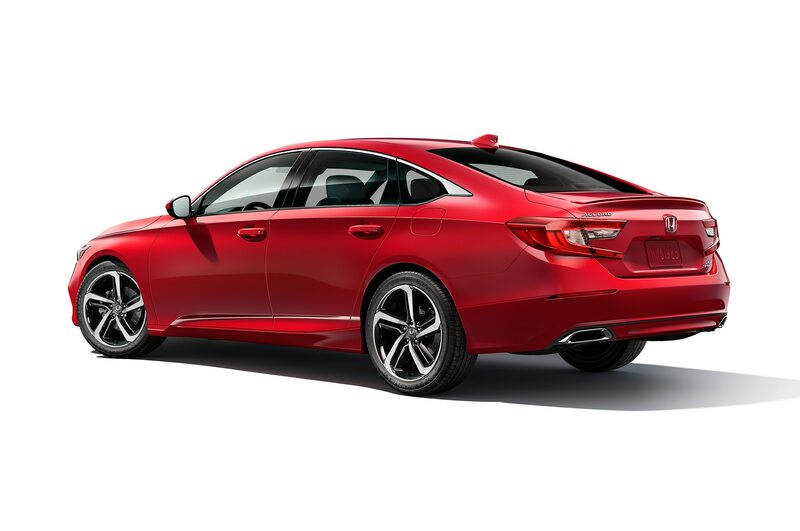 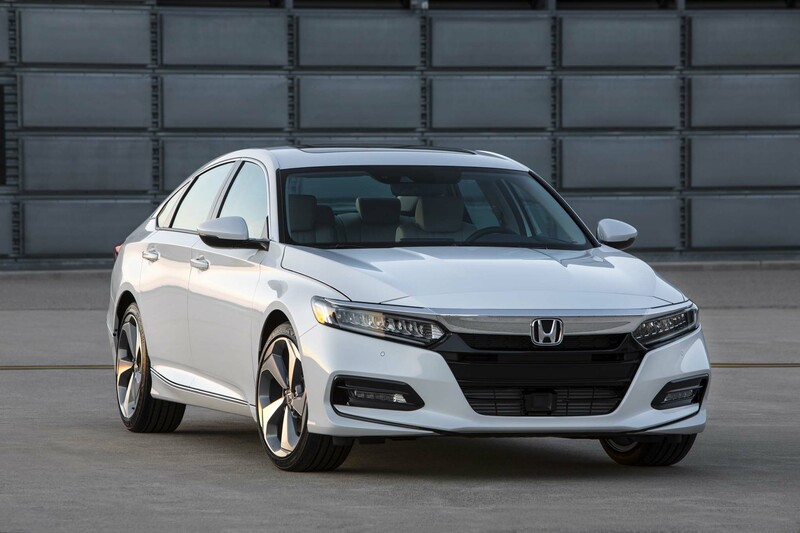 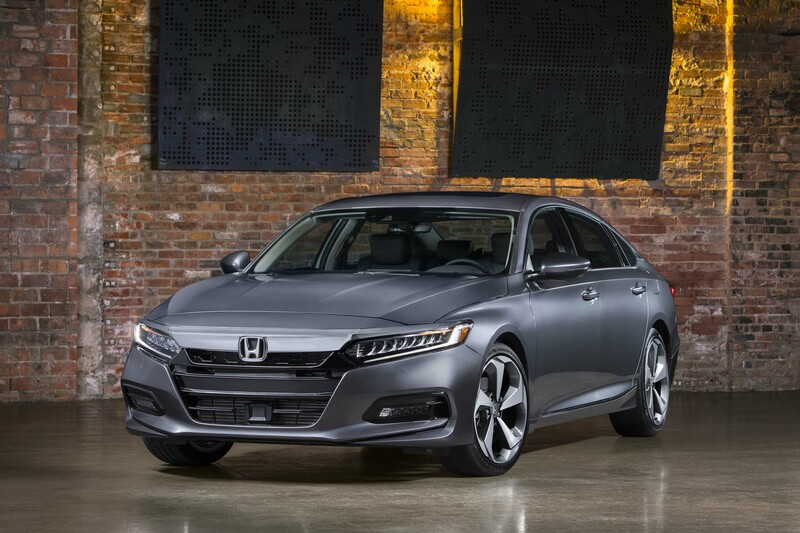 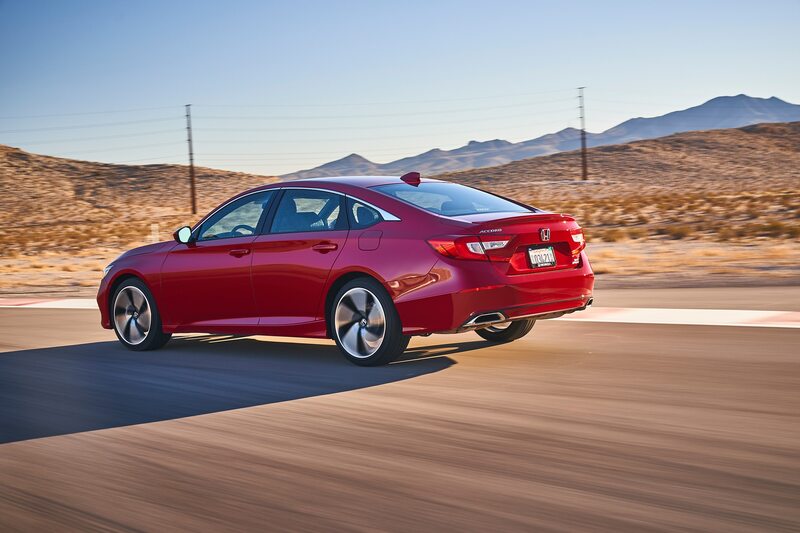 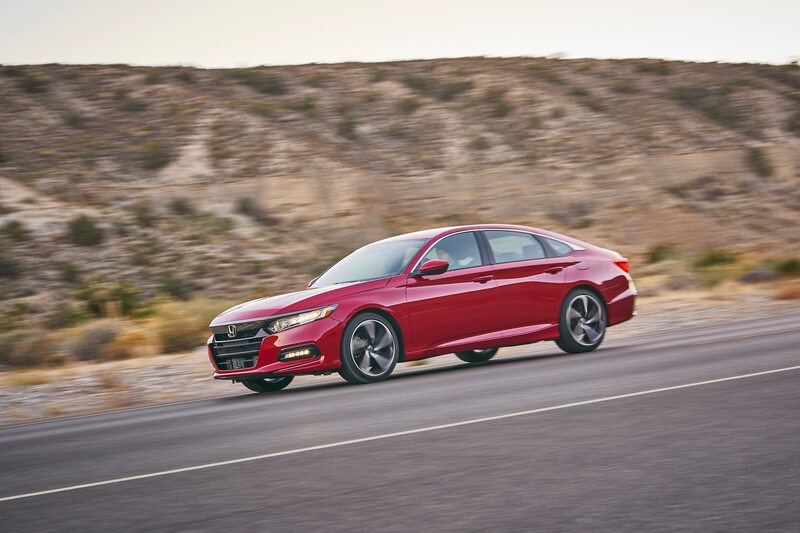 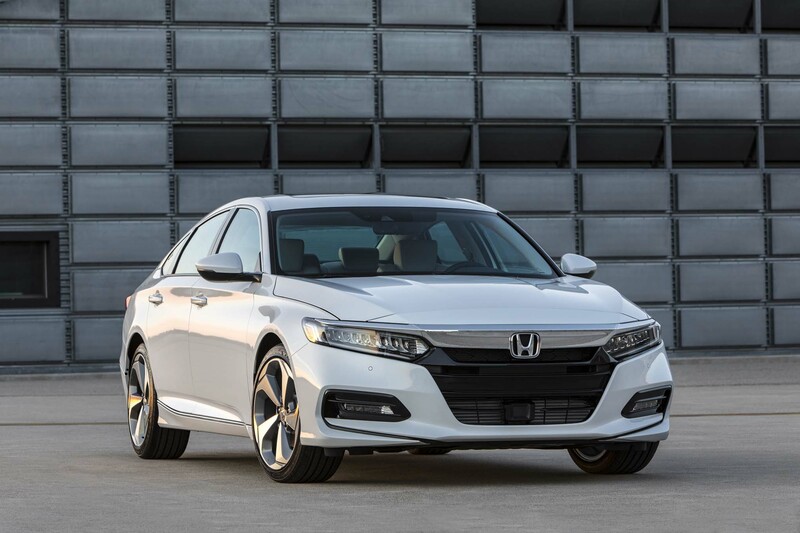 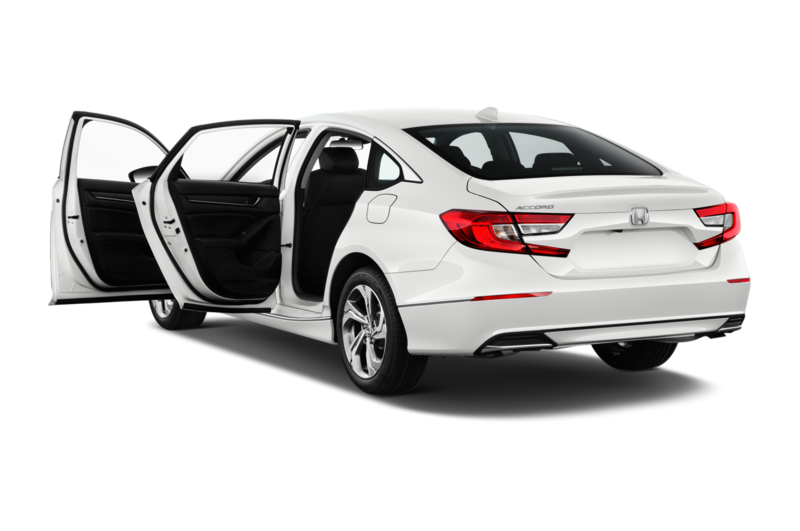 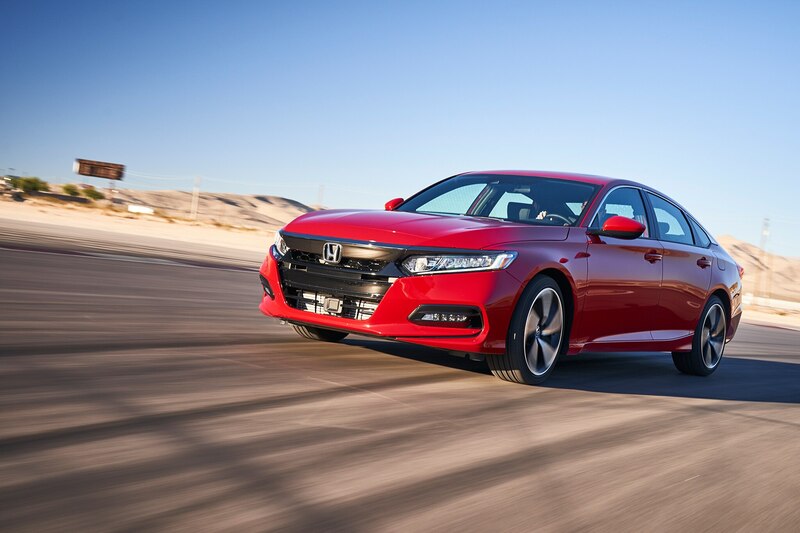 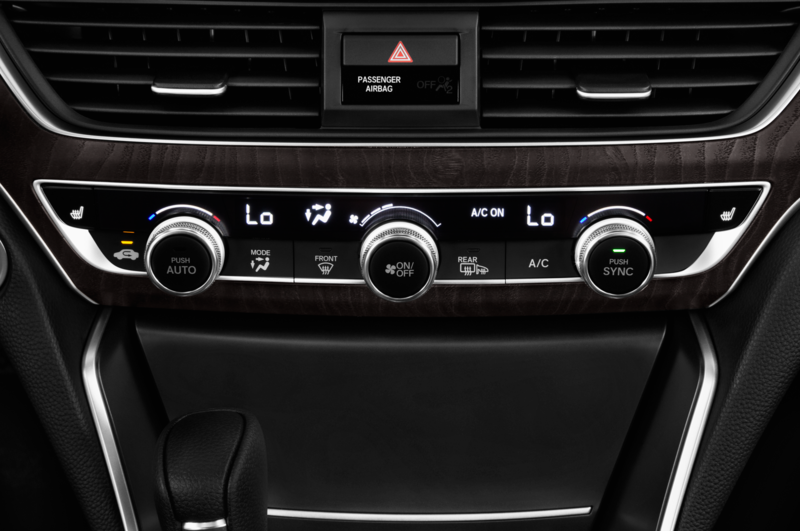 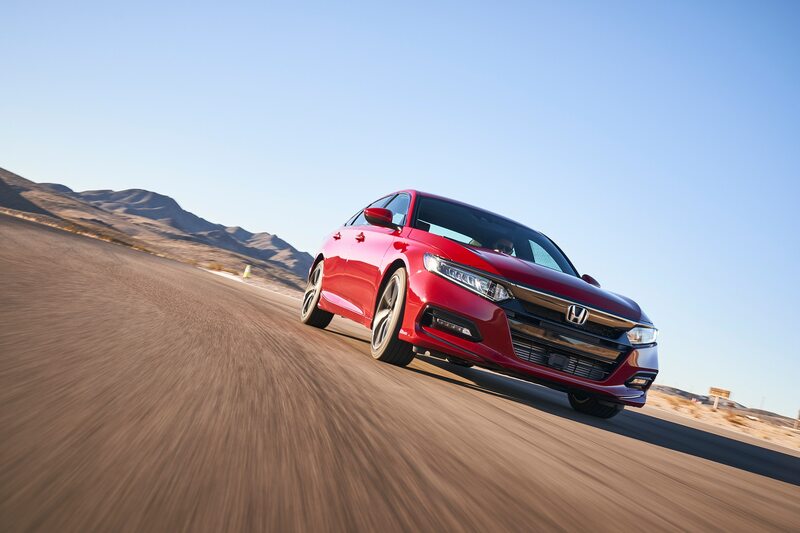 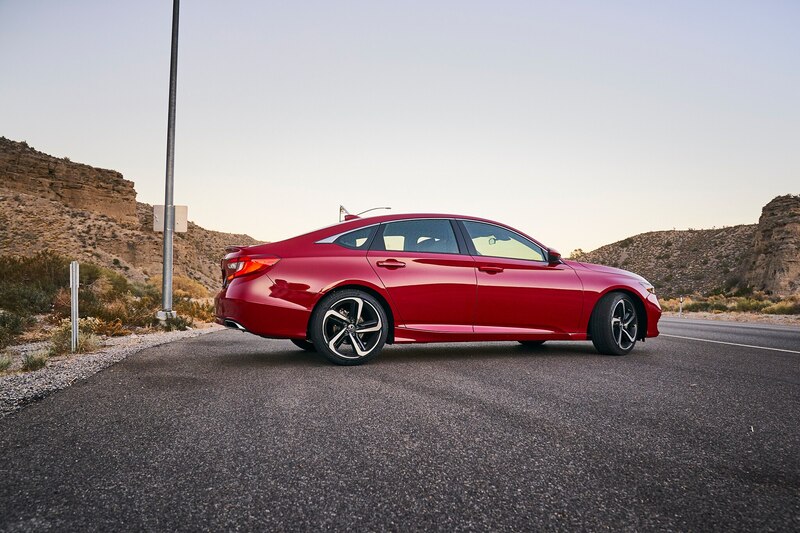 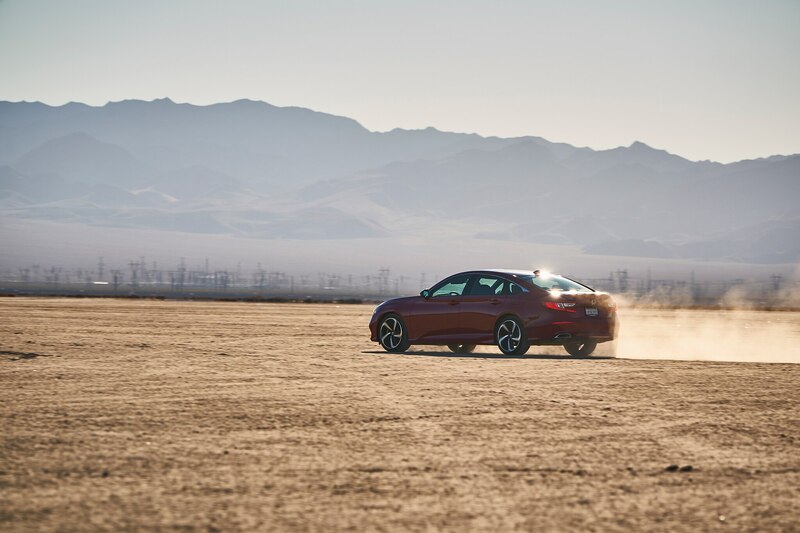 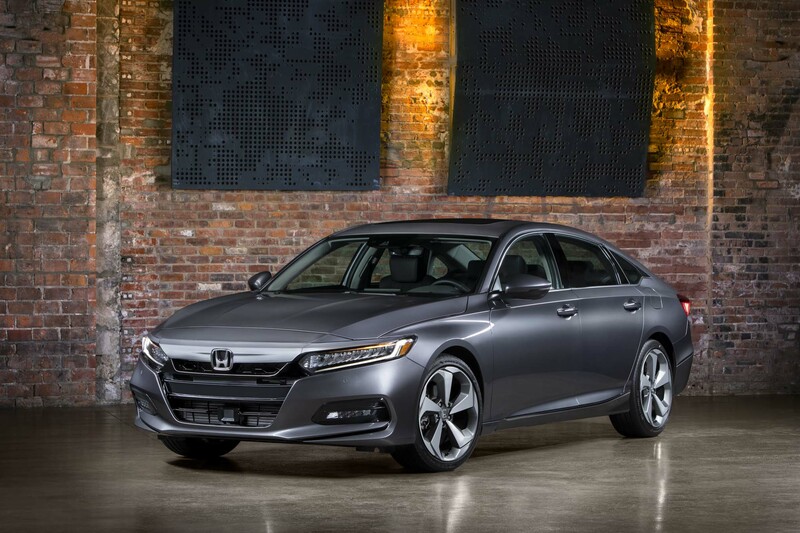 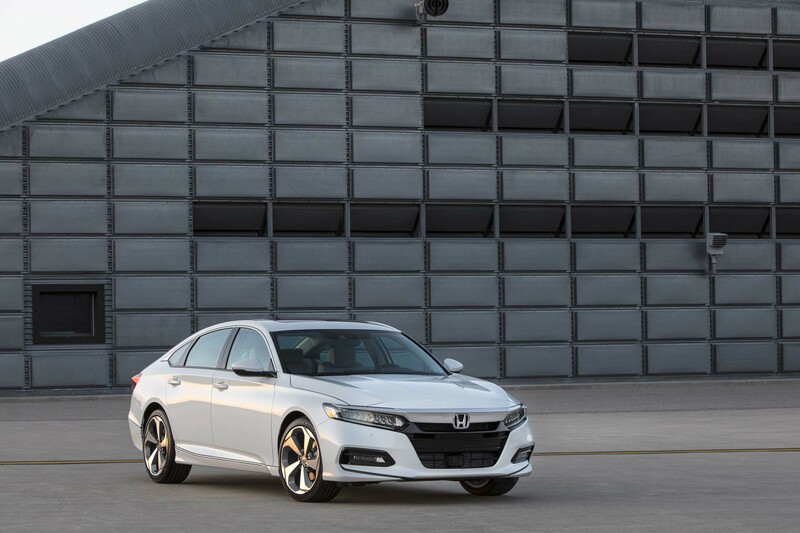 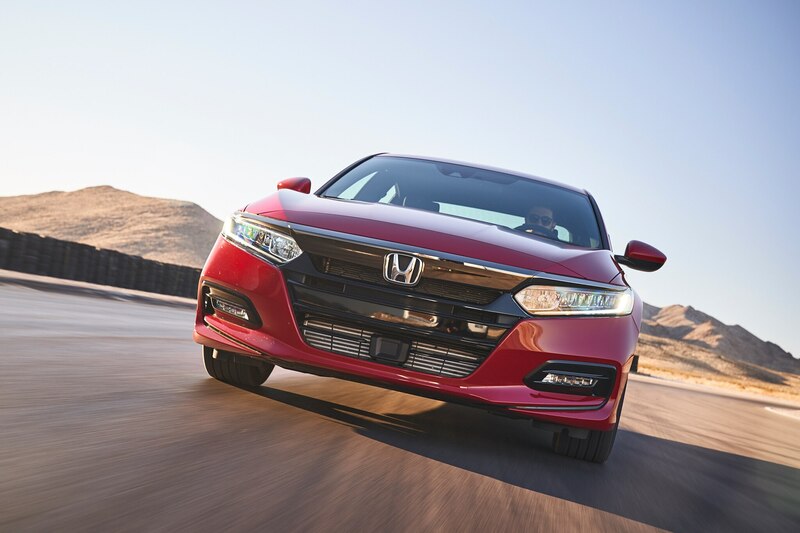 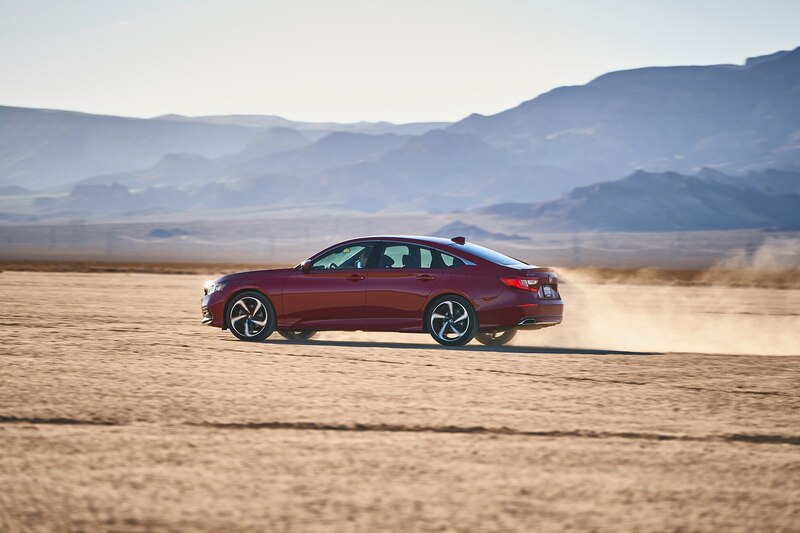 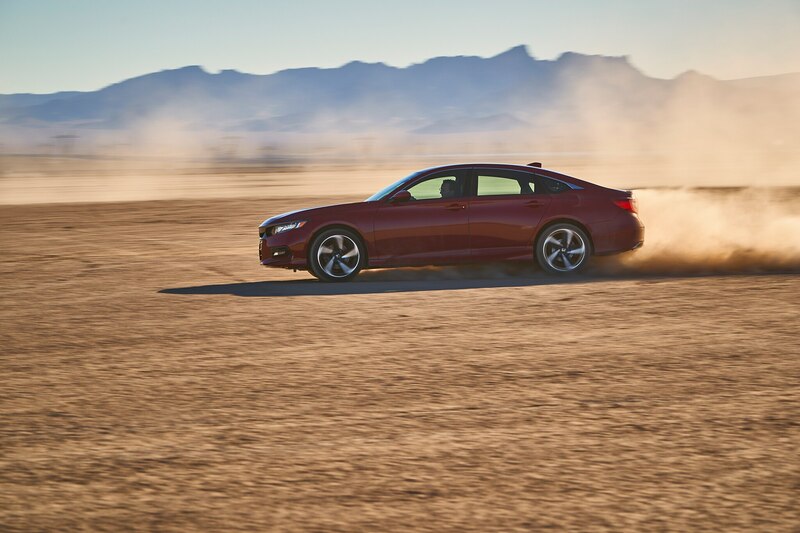 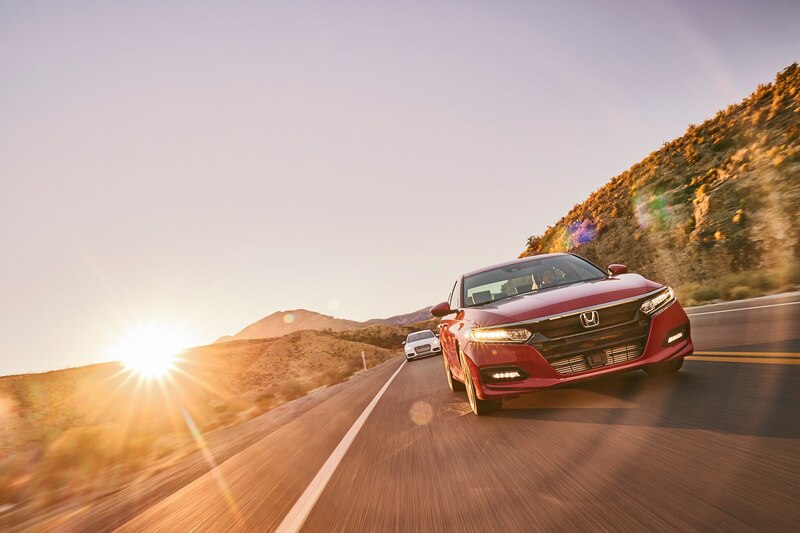 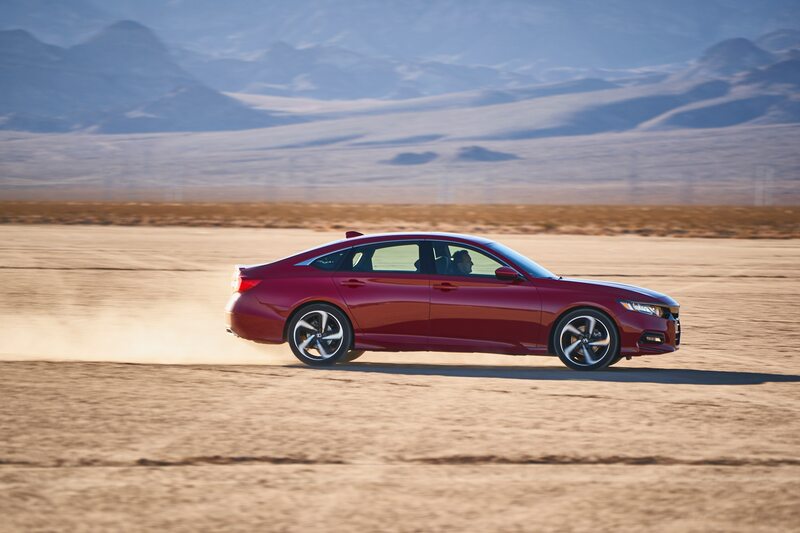 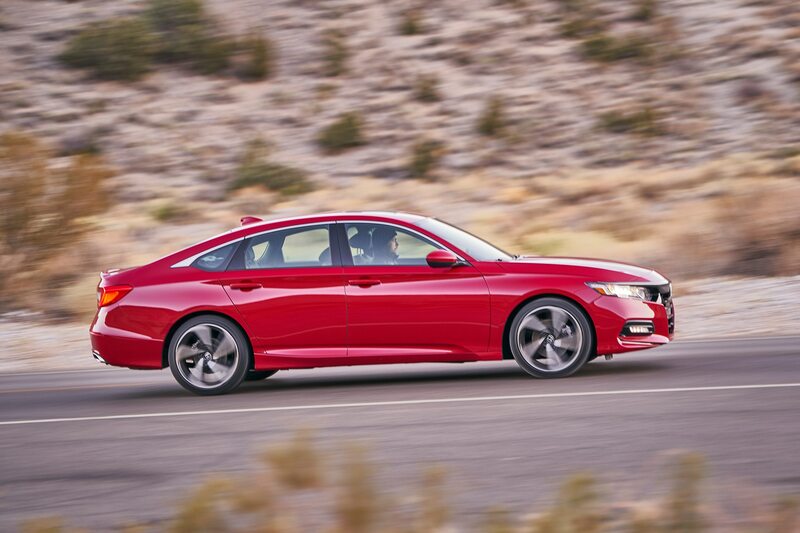 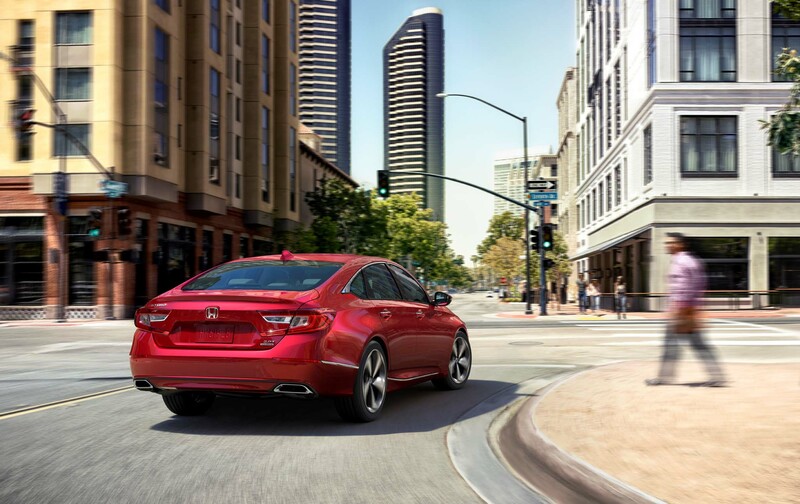 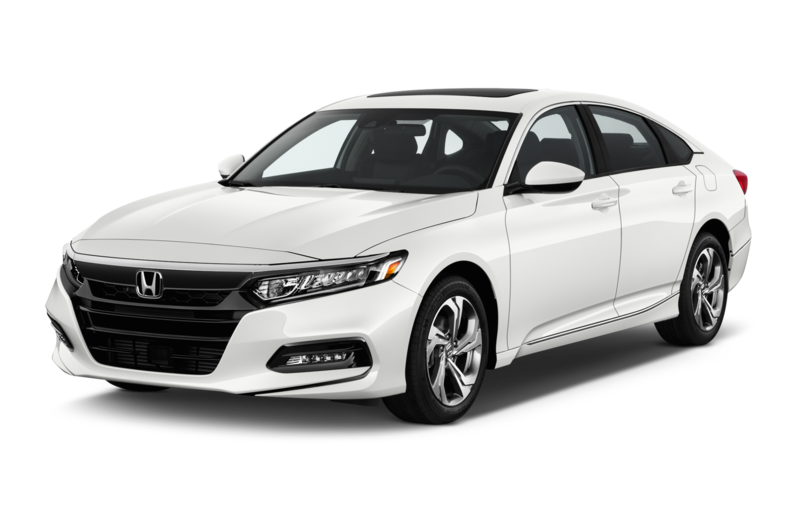 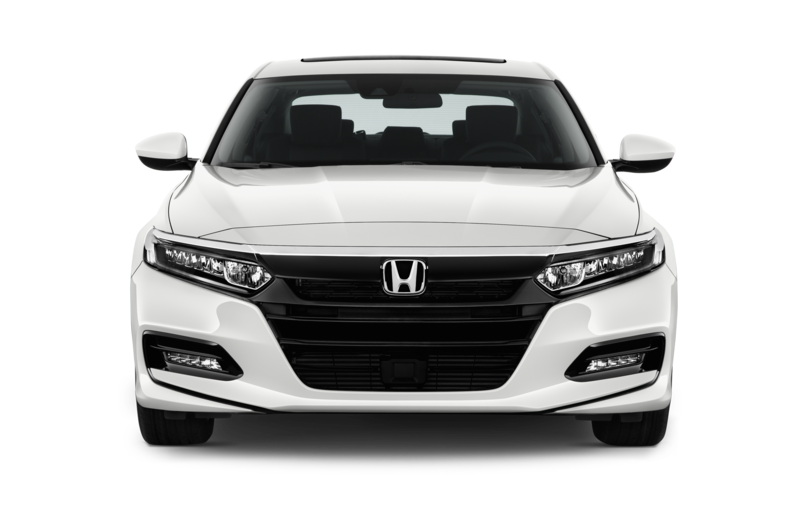 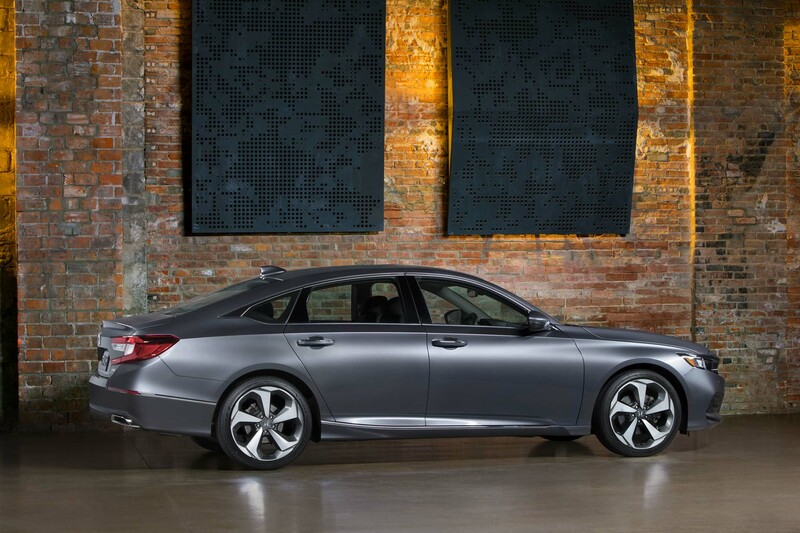 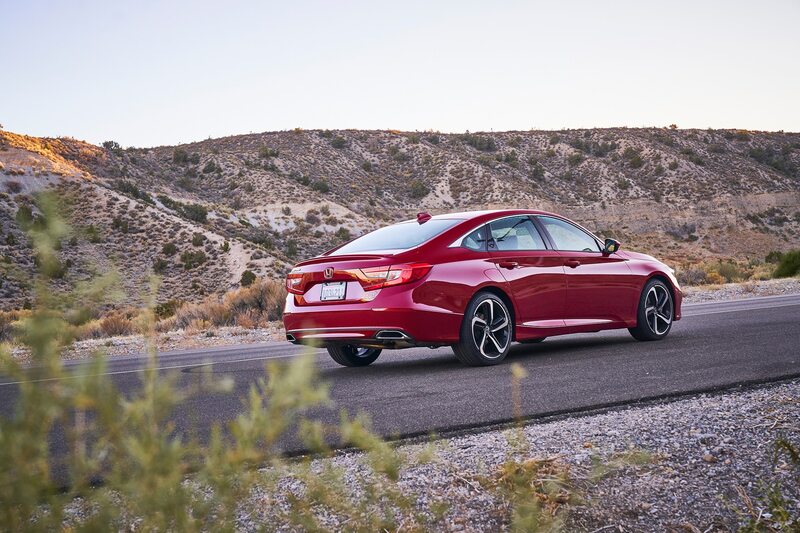 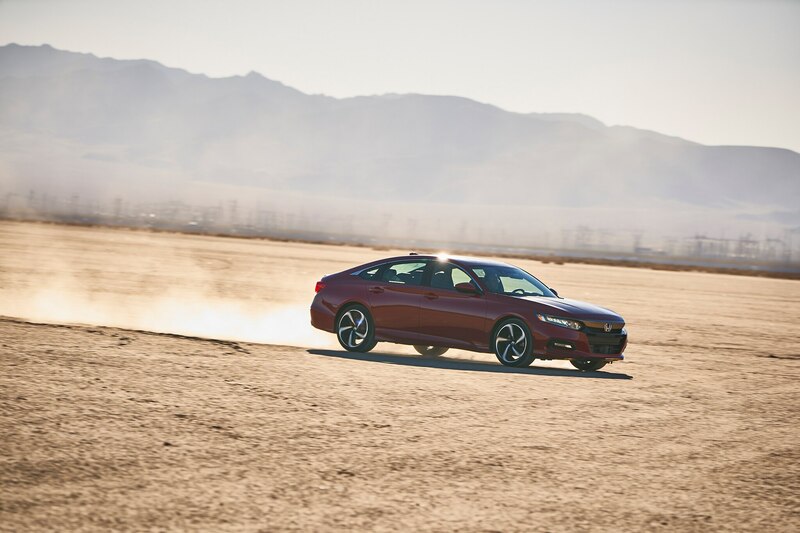 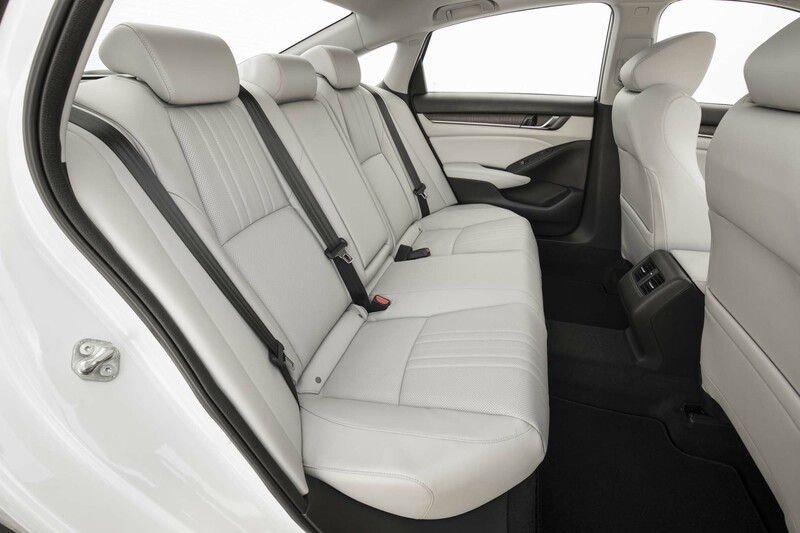 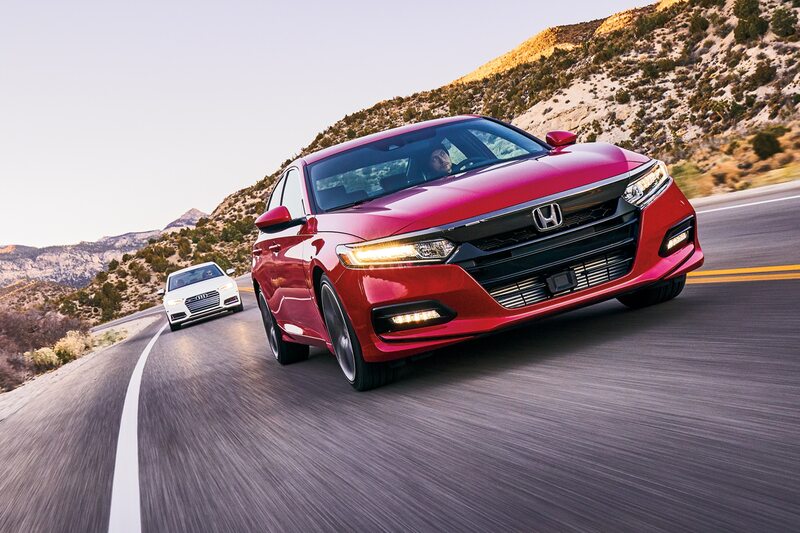 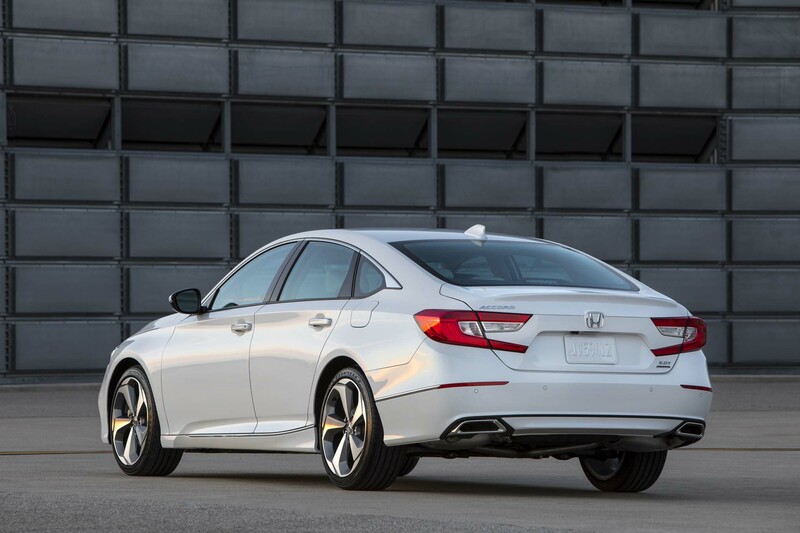 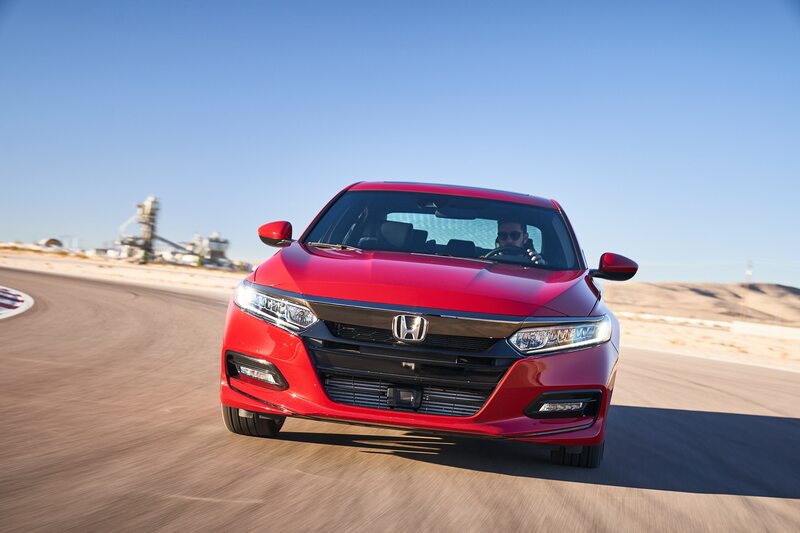 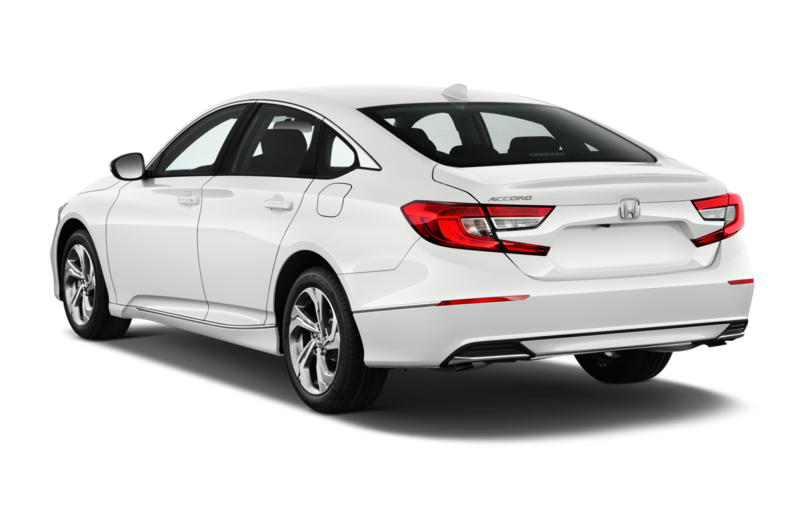 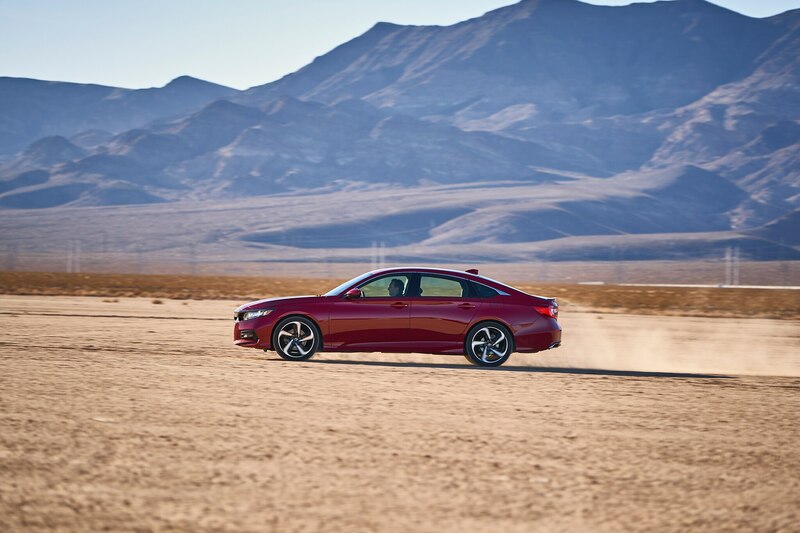 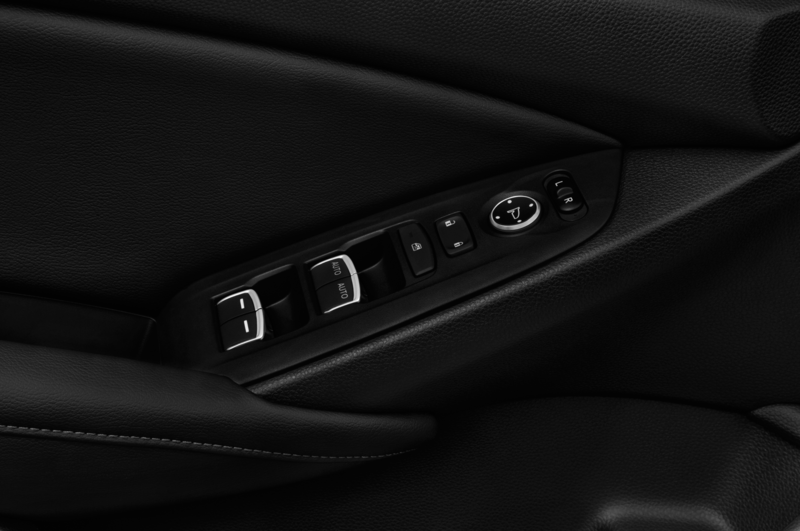 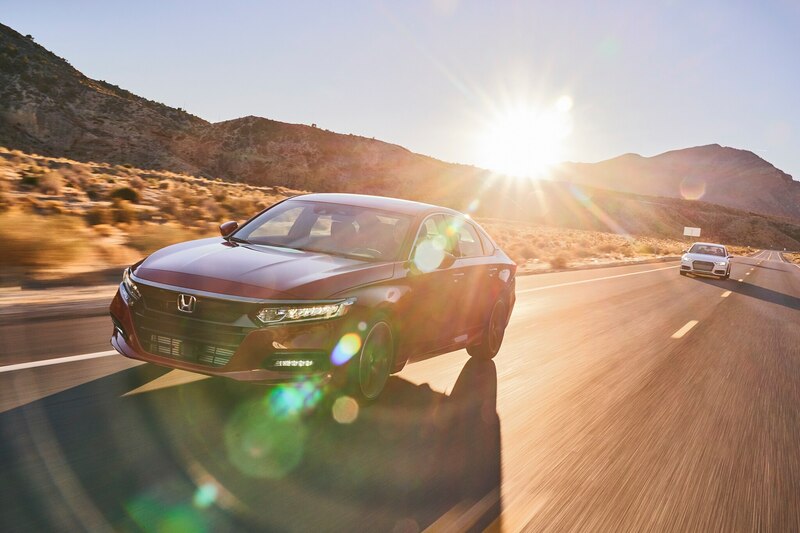 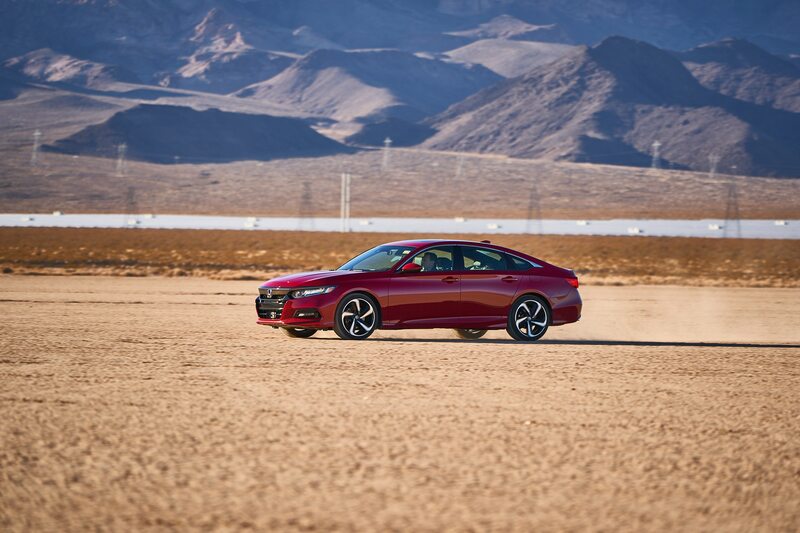 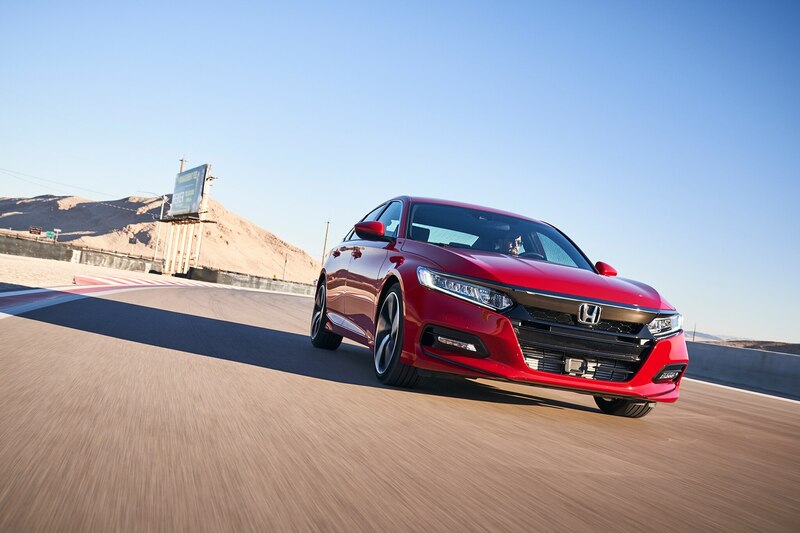 Although the new 10-speed automatic offered with the 2018 Accord is sure to be the most popular pick, our example was fitted with a six-speed manual transmission. 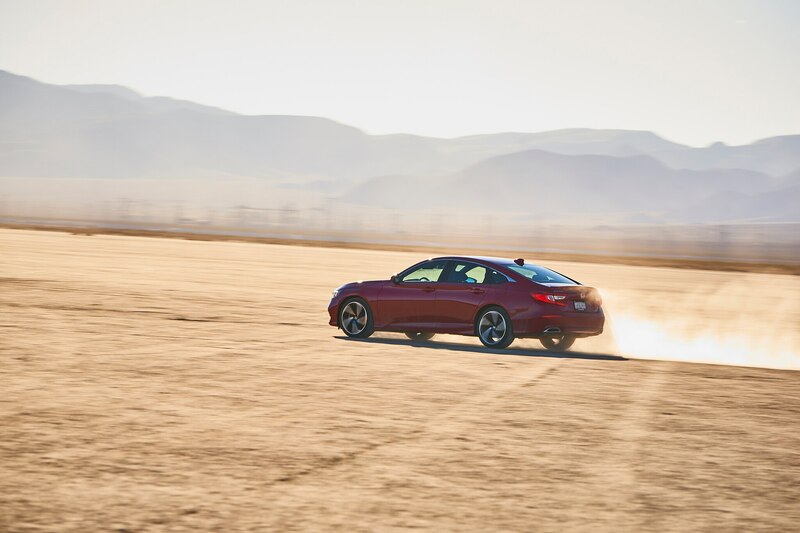 Pro racer Andy Pilgrim enjoyed the power from the new turbo-four and pointed out that “the manual gearbox is a bit sloppy, but fast operation is flawless.” Online editor Ed Tahaney took it a step further. 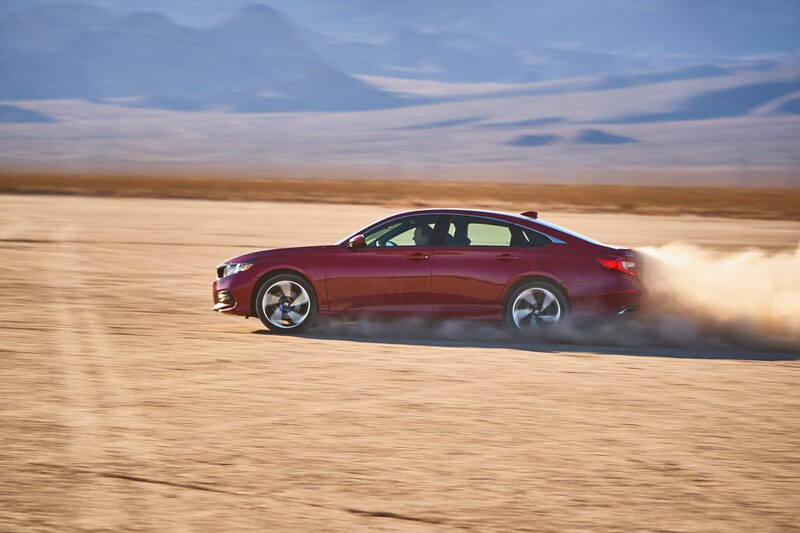 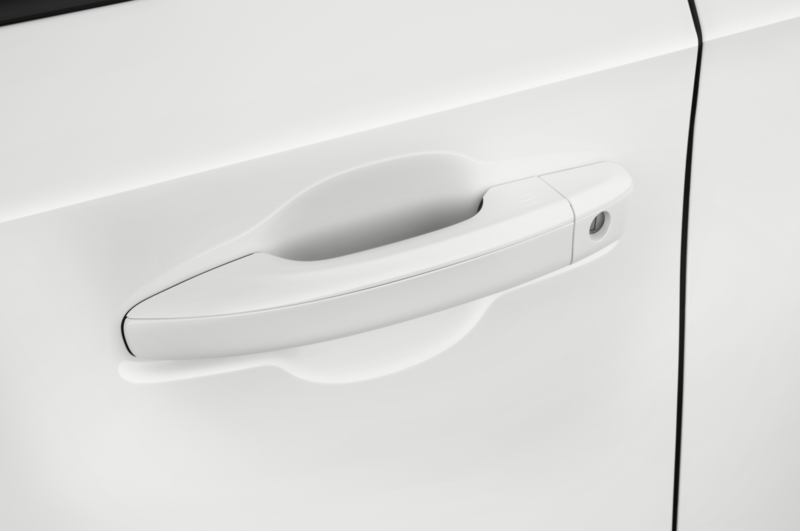 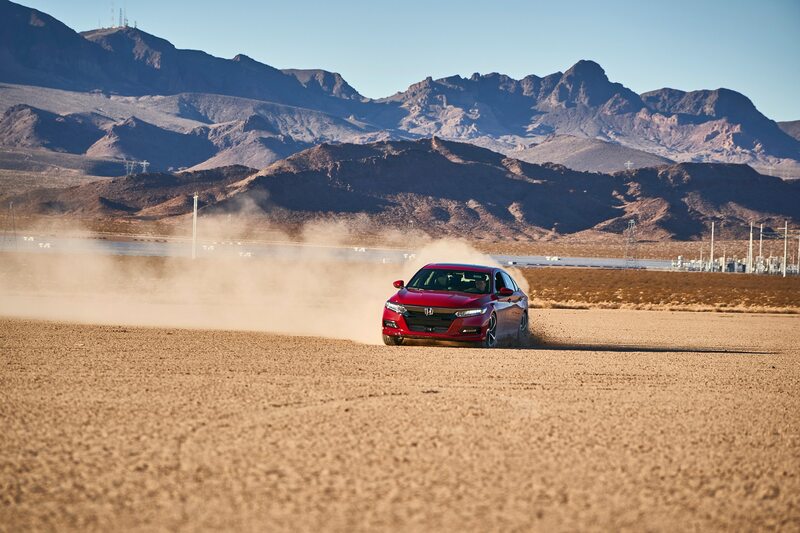 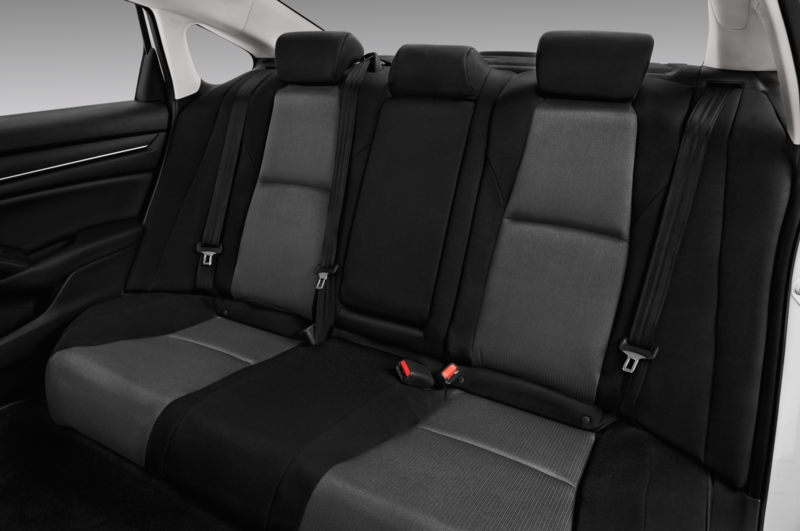 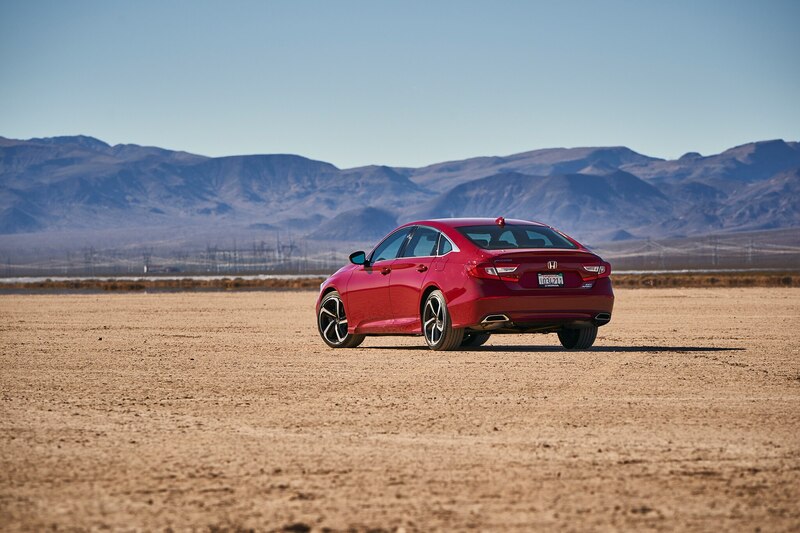 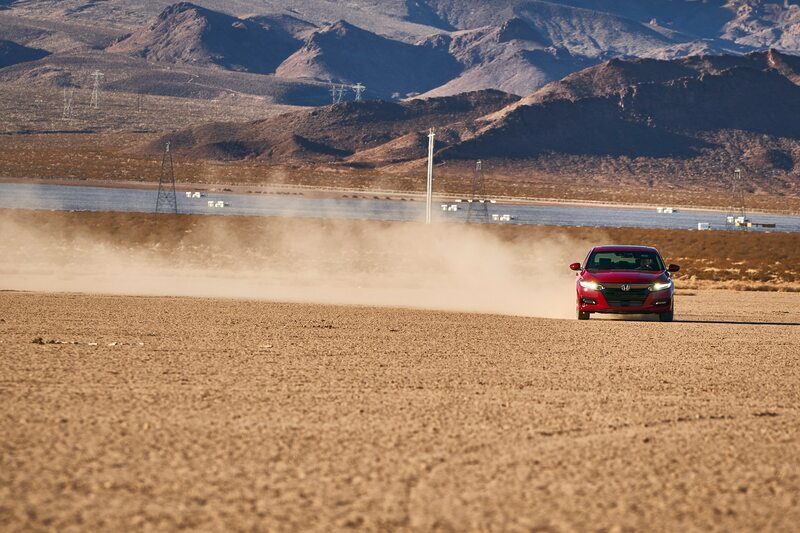 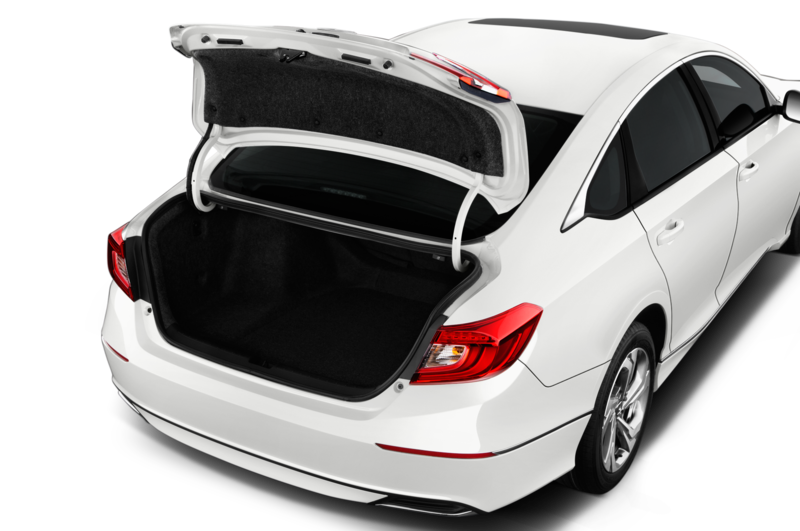 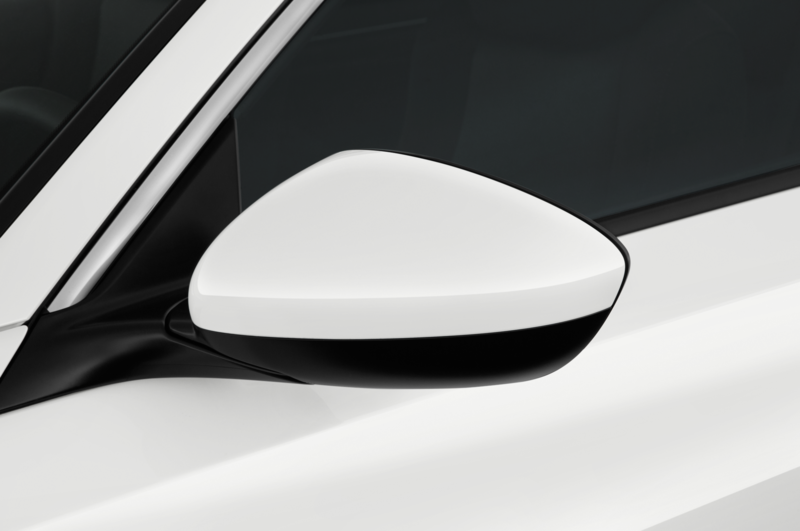 “This is one of the rare vehicles that would probably be more enjoyable as an automatic instead of a stick,” he argued. 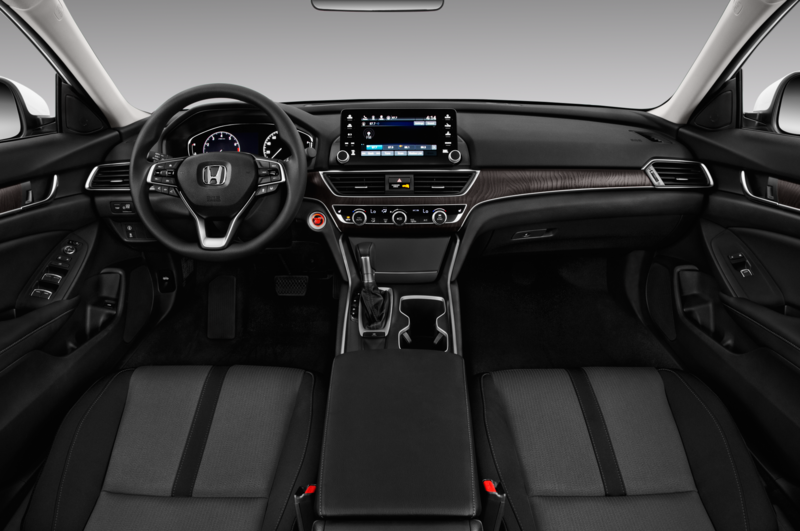 It wasn’t the tightest gearbox we’ve handled in the past year, but the fact Honda offers a manual at all is a tick in the win column for most of us.